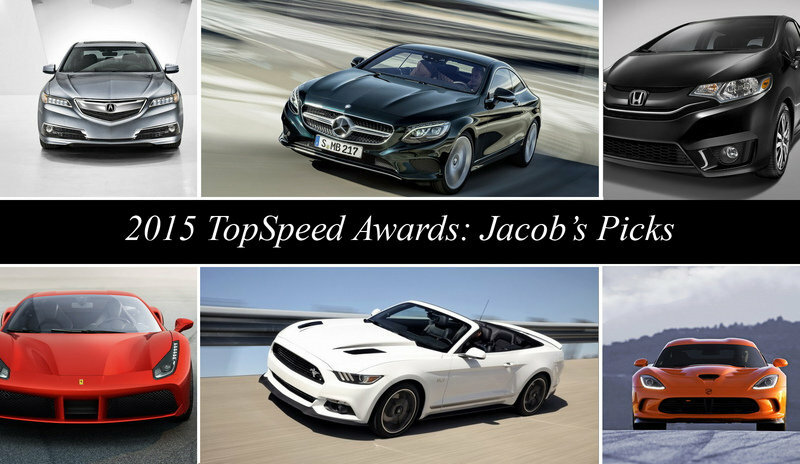 Jacob is a former Audi mechanic turned automotive journalist. His love for cars started the first time he held a Porsche 911 Hot Wheels car in his hands, and the very same car continues to fascinate him in its full-sized form. An Army reservist, Jacob spends a fair number of weekends riding around in Humvees and not getting enough sleep. The late ’40s were something of a mad scramble for European race car manufacturers. WWII had only just ended and those companies that were able to rebuild quickly would have an advantage on the track, up against the prewar models being run by their competitors. For Ferrari, this problem took a slightly different form. Since the company had existed only as a racing team up to this point, it wasn’t looking to rebuild, but rather just to build. The company had no previous models to use as a jumping off point, so the first several chassis were just prototypes, having changes made as needed, and even undergoing model name changes. What it was exactly that happened to which chassis is the matter of some debate, but what we can say is that the first car built was the 125 S, and this was in turn followed by the 159 S, of which apparently two existed. After the 159 S came the 166 S, and Ferrari actually stuck with this version of the car long enough to build a few dozen of them, including actual road-specific versions with roofs and everything. The 159 S was essentially an evolutionary step on the way to the 166. Continue reading to learn more about the Ferrari 159 S.
Porsche has just debuted a new 911 customer race car, and although the GT3 R isn’t a new nameplate, Porsche’s Byzantine model hierarchy and naming system requires us to first explain where the new car fits in. 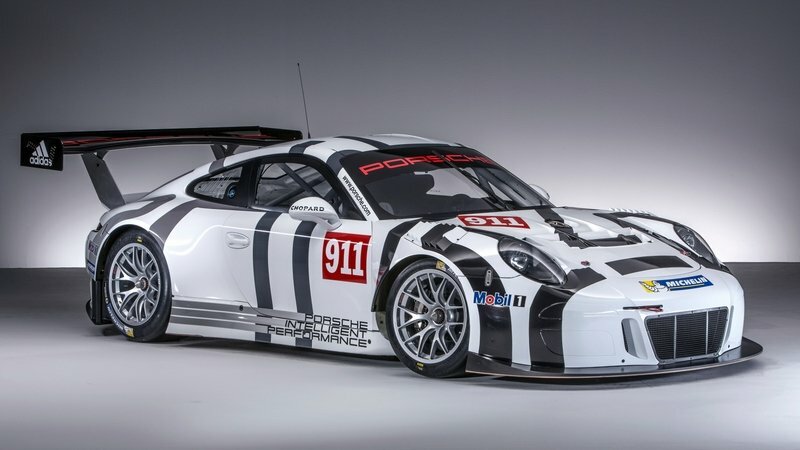 This is the fourth racing version in as many years since the unveiling of the current Type 991 generation of the 911. Starting first with the 991 RSR, then the 991 GT3 Cup, the 991 GT America and now the 991 GT3 R. But all of this looks more complicated than it is; the RSR is a racing version of the regular car, the GT3 Cup and GT America are both based on the GT3 road car, and were simply made for different racing series. And finally we have the GT3 R, which is based on the GT3 RS road car. To put it more simply still: this is the current ultimate track-focused 911. And since Porsche worked hard to make the GT3 RS as close to a race car as possible while still being street legal, not all that much has really been changed. And the GT3 R is likely to share some race tracks with impatient GT3 RS owners who couldn’t wait and performed the modifications themselves. Updated 05/25/2016: Porsche dropped a new video in which shows the 911 GT3 R getting ready for the 24 Hours at the Nürburgring. Hit "play" to watch it! Continue reading to learn more about the Porsche 911 GT3 R.
There is no version of the Duesenberg Model J that isn’t a rare work of art. In the style of the best of the prewar luxury cars, each body was custom made by a third party coachbuilder, and even two cars with the same style were never completely identical. These were some of the most expensive cars in America at the time, frequently costing as more than double the price of Cadillac’s top-end V-16 models. For the coachbuilder Murphy, of Pasadena, California, the Disappearing Top Torpedo Convertible Coupe body built in very limited numbers for the Duesenberg Model J is generally considered to be the company’s finest work. So the car you see here is Duesenberg’s finest clothed in Murphy’s finest, obviously a highly sought-after car. It was bought new by David Gray, a Californian whose father had been an early investor in Ford. When he sold his stake in the company back to Ford, he had become almost unfathomably wealthy, and David was able to get, at the very least, an incredible car out of the deal. The car has been featured on a number of book and magazine covers as a standout example of a Duesenberg, and now it’s going up for auction. 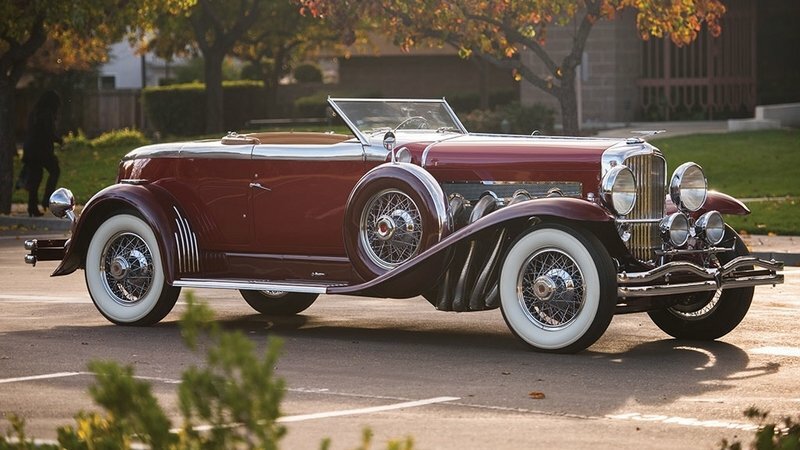 Updated 02/08/2016: This classic Model J Disappearing Top Torpedo Convertible Coupe by Murphy was auctioned for the impressive amount of $3 million - just another proof that Duesenberg used to create very cool cars. Continue reading to learn more about the 1929 Duesenberg Model J Disappearing Top Torpedo Convertible Coupe. Ferrari walks a very fine line with its grand touring models. On the one hand, should they become too soft, there will be talk of the brand being diluted, but make them too hard-edged and they cease to really be a grand tourer and become more of a sports car. During the ’70s and ’80s, Ferrari was sort of doing both of these at the same time. The 2+2 models like the 400 were very soft and more than a little plain to look at, while the two-seat GT cars became mid-engine and much more intimidating just to drive. 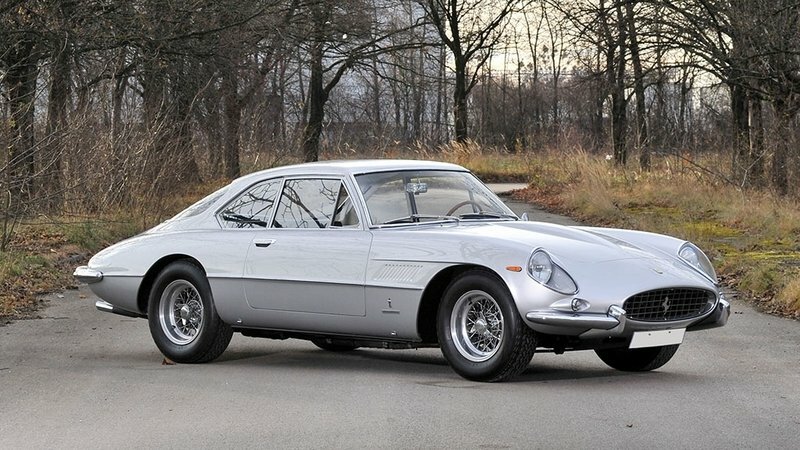 So when Ferrari switched back to using a front-engine GT as the flagship model, the 550 was built specifically to be both very fast and very easy to drive. Then in 2002, Ferrari brought out the 575M, an even easier to drive version of the car. But it was still very fast, and the 575M Superamerica was even the fastest convertible in the world at the time. And even if the purists would complain about the available paddle shifter, this is still a front-engine V-12 Ferrari grand tourer, the sort of thing that made the company great in the first place. Continue reading to learn more about the Ferrari 575M Maranello. In the days before the F40, Ferrari still made very special, very limited-production production models that sold for huge sums of the money. The difference was that in those days, the cars were grand tourers instead of sports cars, belonging to a series known as the America cars. These were usually big GT cars with engines that were much bigger than those found in the rest of the Ferrari lineup. They had special styling and interiors that were much more luxurious than even the 2+2 Ferrari models. The 400 Superamerica fist debuted in 1959, with the Series II version debuting in 1962. And despite the name similarity, it bears no relation whatsoever to the later 400 2+2 of the ’70s and ’80s. The 400 Superamerica sat at the very top of the Ferrari lineup during its lifetime, an era that also gave us the bulk of what are today the most valuable Ferrari models, and therefore the most valuable cars in the world. But unlike the more mainstream (if that is ever the right word for a V-12 Ferrari) models, the motorsports pedigree isn’t so obvious with the Superamerica, but that in itself is something that makes the Superamerica unique, at least in this era of Ferrari. 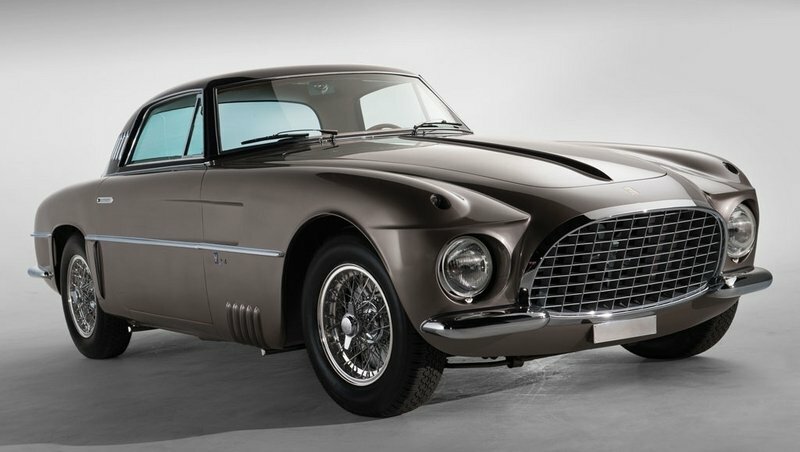 Update 02/04/2016: The Ferrari 400 Superamerica LWB Coupe Aerodinamico sold for $3.3 million through RM Auctions. That price falls perfectly in line with RM’s predicted selling price between $3.2 and $3.6 million. Continue reading to learn more about the Ferrari 400 Superamerica LWB Coupe Aerodinamico. 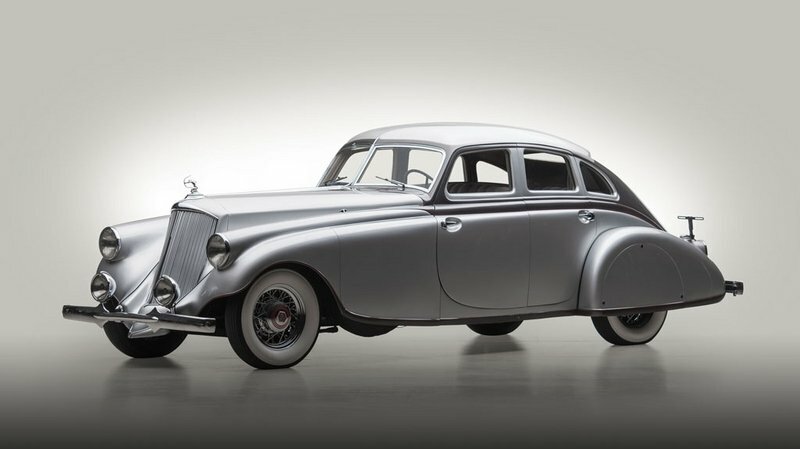 The 540K was the ultimate prewar Mercedes-Benz. And if we’re going to further subdivide the model by different body styles, the Special Roadster was the ultimate 540K. Build by special order only, the Special Roadster was one of the most expensive and exclusive cars of its day, and could be considered the pinnacle of prewar German luxury car-building. 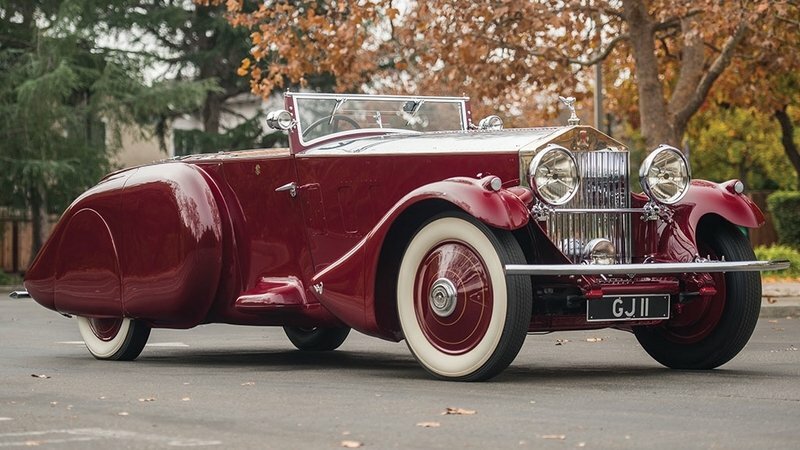 The 540K is also distinct in being one of the few prewar European luxury cars to come from a company big enough to have a presence outside of Europe. Because while it wasn’t unheard of for an American to own a European car in the years prior to WWII, the logistical framework often didn’t exist for them to buy these kinds of higher-end machines that needed to be special ordered. The 540K is actually an evolution of the 500K, with this being based on the still earlier S/SSK. But the cars are not as similar as this might make them sound, and while the 540K used a lot of the same architecture as the 500K, the chassis construction was changed completely from that of the 500K, thanks to engineer Gustav Rohr, on loan from the highly successful Mercedes motorsports program. 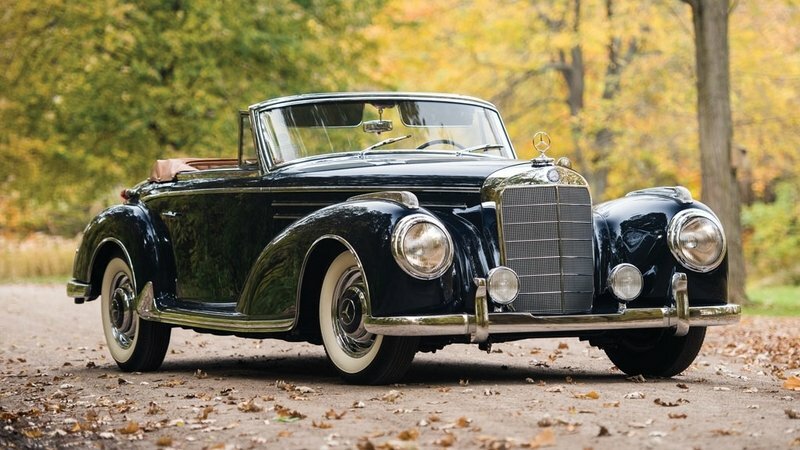 Updated 02/01/2016: The Mercedes-Benz 540 K Special Roadster shown here just went under the hammer at RM Sotheby’s . Did it go for the expected $10 million? Check out the prices section to see for yourself. 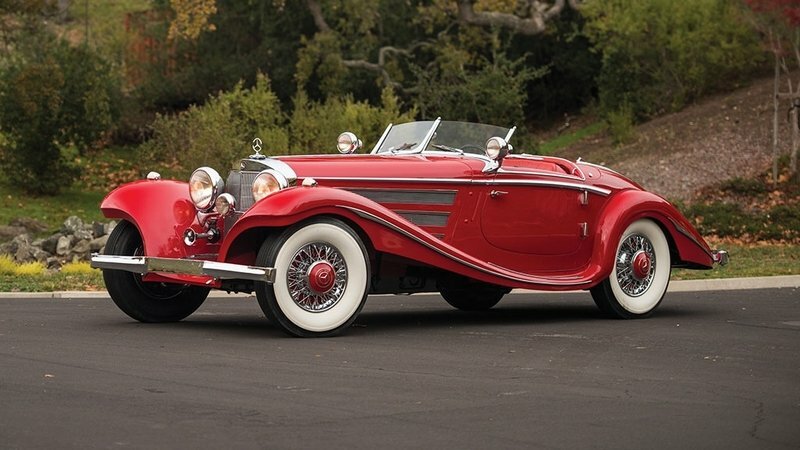 Continue reading to learn more about the Mercedes-Benz 540 K Special Roadster. For a company with as long a history as Maserati, it would normally be very difficult to pick one car that stands above the others as the very best. But for Maserati, most experts are pretty comfortable saying the best car to get a trident badge was the 5000 GT. This is obviously not to say that Maserati hasn’t built many exciting cars, just that the 5000 GT was that special. Not only that, but the era in which it was built could conceivably be thought of as Maserati’s golden era, one of the only times it wasn’t hurting for money or in need of outside ownership. With the launch of the 3500 GT as a competitor to the Ferrari 250, Maserati was making a healthy profit for the first time in a while. The car had even attracted the attention of the Shah of Iran, an avid car collector. But the Shah wanted a special one, not just a run of the mill production model. So he requested that Maserati build him one with the engine out of the 450S race car and unique coachwork. Maserati agreed that this was a good idea, and even ended up building a short production run of them. Continue reading to learn more about the 1962 Maserati 5000 GT Coupe. There is some sort of racing for just about everything that has a motor. And while there might be a limited number of governing bodies for riding lawnmower racing, car racing has a dizzying number of organizations, each with its own set of rules. And that means that even though BMW has already built a version of the M6 to conform to the FIA’s GT3 regulations, a new car will have to be built in order to compete in the IMSA WeatherTech SportsCar Championship. This is a fairly new Championship, with its inaugural season having just happened in 2014. The Championship is actually just the result of the merging of the American Le Man Series and the Rolex Sports Car Series. Since the series has its roots in the American Le Mans Series, the “LM” that you see in the name of the car stands for “Le Mans,” and the whole GTLM class is really just a copy of ACO’s GTE class for Le Mans and Le Mans series racing. The M6 GTLM is based heavily on the M6 GT3, but it is not as similar as the old Z4 GT3 was to the Z4 GTLM. Updated 01/282016: BMW Team RLL today revealed two commemorative 100th anniversary liveries for the new M6 GTLM race cars. The new livery pays tribute to the iconic BMW 3.0 CSL which claimed the first victory at Daytona. 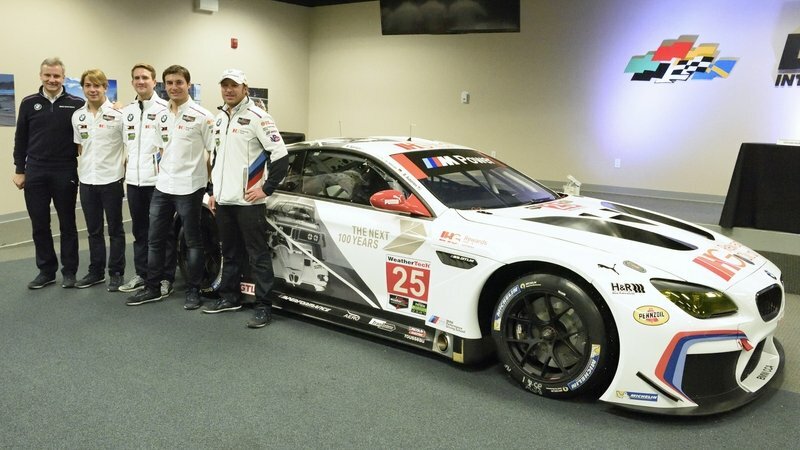 Continue reading to learn more about the 2016 BMW M6 GTLM. Briggs Cunningham was a man utterly obsessed with cars and racing, and fortunate enough to have been born into enough money to be able to pursue that passion to its fullest. His fascination with racing got started just after WWI, when his uncle would take him to races. By 1940, he was racing himself, in a car that had a Buick chassis and engine, but a Mercedes-Benz SSK body. After WWII, he was building his own cars, both for other racers and for his own team. His team raced at Le Mans with a pair of Cadillacs in 1950, finishing 10th and 11th. But he wanted to race his own cars, and was soon running his C2 racer in American endurance races. Cunningham did well in the American races, but his cars were unique fabrications, and the Le Mans rules at the time only allowed production cars to race, defined here as one with a production run of at least 25 units. Thus was born the Continental C3, a racing chassis and a big powerful engine dressed in an elegant Italian body and a full interior. For what was essentially a homologation special, Cunningham took real car to make a surprisingly civilized road car. Continue reading to learn more about the Cunningham C3 Coupe. There was no shortage of absolutely amazing luxury cars in 1930, all of the big names in luxury were still operating, and custom coachbuilt bodies were very much the norm. But even within the realm of these hyper-luxury cars that were built for literal royalty, some were a bit more special than others. In the world of the Rolls-Royce Phantom II, which first debuted in 1929, it was the short-wheelbase Continental models that were the rarest and most coveted. These two-seat versions of the car are the rarest, and also the ones where the coachbuilders really got creative. Most of the Phantom II bodies were built by the usual coachbuilders that worked with Rolls-Royce on its volume-selling models, these being primarily Mulliner and Park Ward. But for really special models, cars that were being sold to royalty or the extremely rich, the chassis were frequently sent to Barker. That is what happened with this Phantom II Torpedo Sports, which sports an unusual body that was the absolute bleeding edge of design for 1930. This went on top of an all-new Continental chassis that was a complete redesign from the Phantom I. It’s a different sort of car, but very much in a good way. 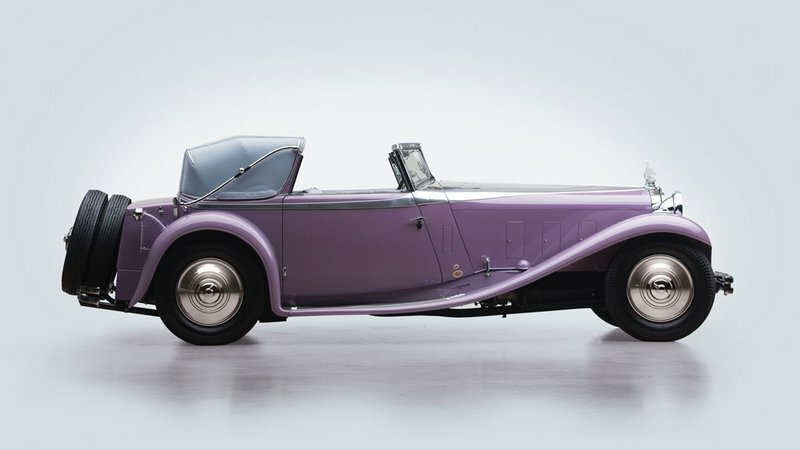 Continue reading to learn more about the 1930 Rolls Royce Phantom II Torpedo Sports. There have been cars built in Japan for quite a long time, but the Japanese automotive industry as we know it today is a much more recent phenomenon. Prior to WWII, the cars built in Japan were mainly foreign companies setting up local manufacturing operations. Japanese companies really tackled new cars themselves after the war, but for a long time, they were only building cheap economy cars, and most of the designs were copies of older cars from foreign manufactures. Sports cars were tiny things with engines under 1 liter and were produced in very small quantities. 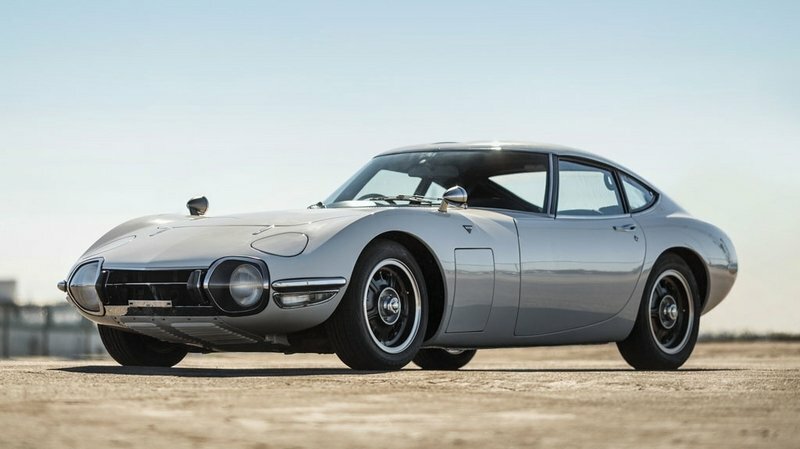 All of this historical context is important because it helps to show just how big of a revolutionary moment it was in 1965 when Toyota first showed the 2000GT at the Tokyo Motor Show. 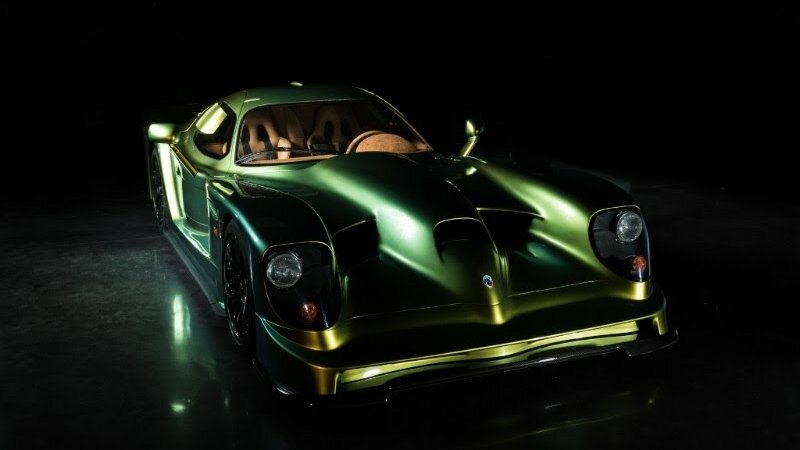 The car actually started out as a partnership between Nissan and Yamaha, but when Nissan decided to pass on the Yamaha design, it was just taken over to Toyota. Even among Japanese manufacturers at the time, Toyota was a pretty conservative company. But the company brass recognized the 2000GT as an opportunity to shake up its image, and maybe even change the way that people outside of Japan looked at Japanese cars in general. Continue reading to learn more about the 1967 Toyota 2000GT. In the early days of Ferrari being a carmaker in addition to a racing team, cars were evolving so quickly that Ferrari would end up developing two different cars just for the 1957 Mille Miglia. The first of these was the 315 S, built at the beginning of 1957. But Ferrari was unable to make it all of the way to the Mille Miglia in May without fiddling with it, and the 335 S would end up being brought out before the race. Both cars are in fact evolved versions of the 290 MM, and cosmetically they are practically identical. The 335 S has a bit of a dark history. When it raced at the 1957 Mille Miglia, a blow tire caused one of the car to careen off the road and into a crowd of spectators. The driver, co-driver and 10 spectators (5 of them children) were killed in the crash. With this accident coming just two years after the even more horrific 1955 Le Mans disaster, public outcry shut down the race after 1957, making the 335 S the last Ferrari build specifically for this event. But despite the grizzly association, the 335 S is today one of the most valuable cars in the world. Updated 02/08/2016: The highly anticipated auction of a 1957 Ferrari 335 S Spider Scaglietti finally went down, and true to form, it fetched an incredible amount that even surpassed what auction house Artcurial Motorcars Retromobile thought it would go for. Valued between $30 to $34 million, the 335 S sold for a staggering $35,711,359 - making it one of the most expensive Ferrari in history. 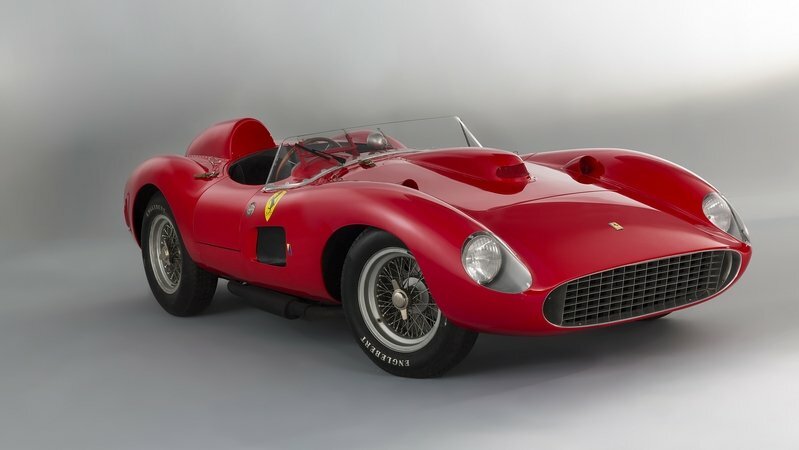 Continue reading to learn more about the 1957 Ferrari 335 S Spider Scaglietti. The ’70s were a pretty grim time for cars in America. The decade got off to a strong start, but new safety and emissions regulations would effectively kill off the muscle car for several decades, and cars in general became ever more bloated and sluggish. European cars weren’t as popular in America as they are now, and they managed to hold out a bit longer before these regulations ruined the party for them as well. Some companies just stopped selling certain models here, while others complied and strangled the power output even on models for the European market. 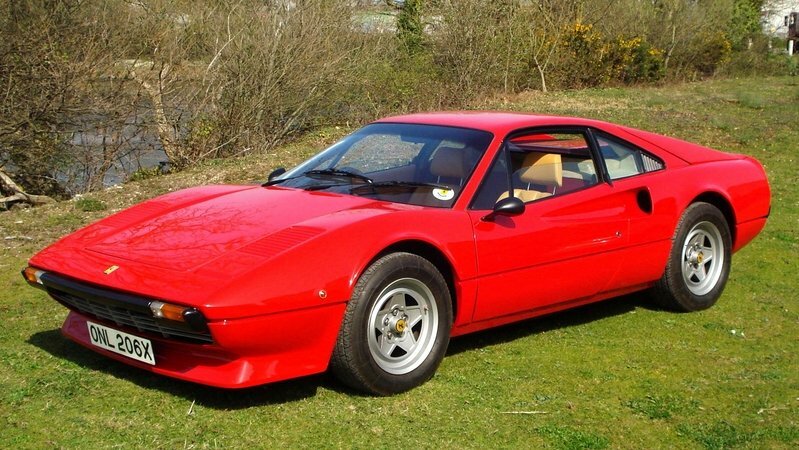 One of the more tragic examples of this is the Ferrari 308. 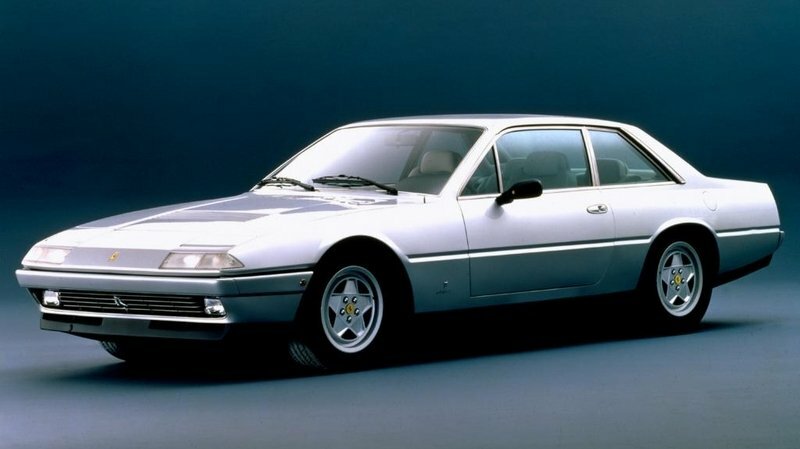 Launched in 1975, the 308 was a huge seller for Ferrari, and it was just too important to give up on North American sales once it became time to reign in the emissions. The solution was fuel injection, and while it didn’t so utterly destroy performance as completely as it did with any number of other cars, horsepower numbers did drop significantly. 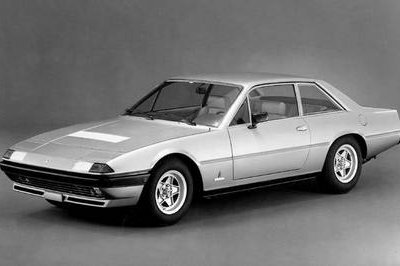 The fix to this was the car you see here, the 308 GTB Quattrovalvole. The car retained the fuel injection, but upgraded to a new head design that brought power back up to where it should be. Continue reading to learn more about the Ferrari 308 GTB Quattrovalvole. Cadillac is a company that has had some fantastic highs as well as some depressing Cimarron-level lows. 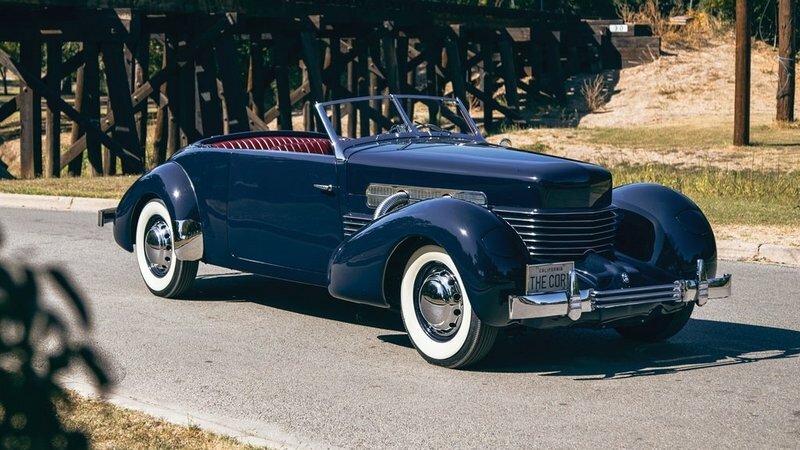 The prewar V-16 models were world leaders in luxury, but even after WWII, Cadillac had a few offerings that still put it at the front of the pack. Some early versions of the Eldorado were in a price bracket with Rolls-Royce, and then there were the Series 62 Ghia coupes. 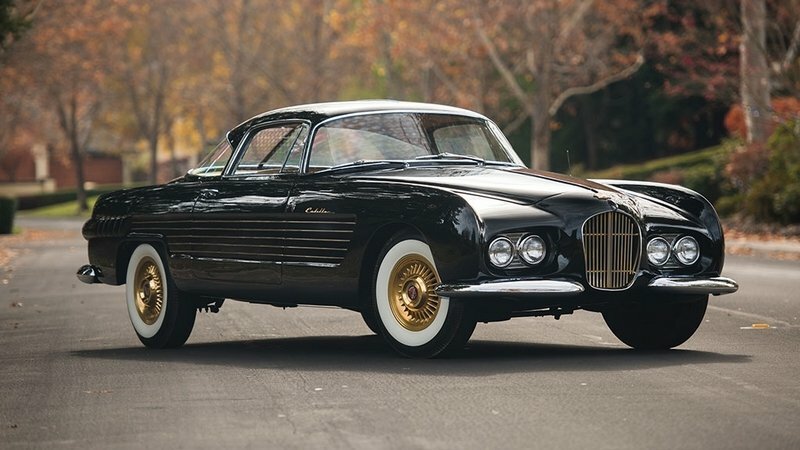 Coachbuilt cars in general were far less plentiful by 1953 when the Ghia coupes were built, and Cadillacs even more so. The company had invested heavily in coachbuilding during the ’20s in order to be able to offer a staggering number of body styles and customization options without buyers needing to go to a third party to have a body built. So even in the ’30s, couchbuilt Cadillacs were already rare, but in 1953, the Ghia coupe was something extra special. But what makes these cars so great, apart from the fact that they are so very rare, is that they are also something of a mystery. Very little information, paperwork or even photos from the period remain, and there are even unconfirmed rumors about the cars that get passed around as facts. Continue reading to learn more about the 1953 Cadillac Series 62 Coupe By Ghia. The number of electric vehicles that you can stroll into a dealership and buy has been steadily increasing over the past few years, with no slowdown in sight. But, what this relative boom in electric vehicles hasn’t done is produce a lot of new car companies. Just a few years ago, we were hearing a stream of promises from all sorts of startups about how the automotive industry would be an entirely different place by 2020. But, here we are in 2016, and the whole whole field of new contenders has basically been distilled down to just Tesla, a company that still has yet to turn a profit. Now another startup has thrown its hat in the ring, Faraday Future. And like Tesla, it has the kind of financial backing needed to weather the storm of the first several years of operating an electric car startup. 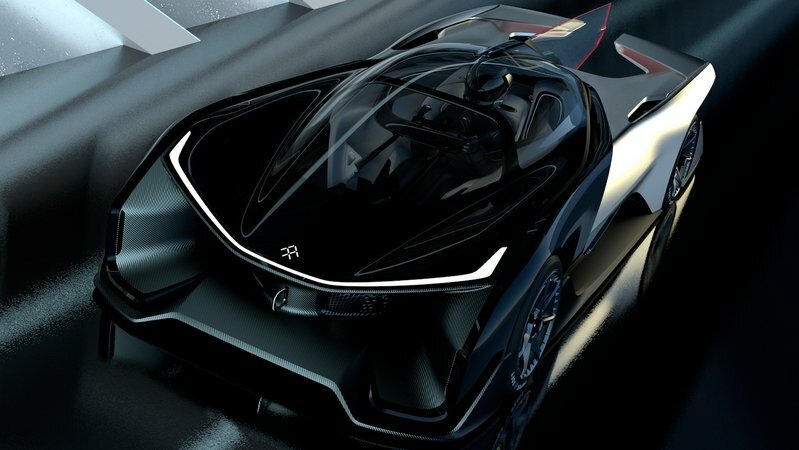 The company has just unveiled its much anticipated first concept, called the FFZERO1, at CES in Las Vegas after quite a few vague teases. The company unveiled the wild-looking concept in a manner similar to a tech launch than to that of a car. But FF very clearly sees itself as a company that blends the worlds of cars and technology. Continue reading to learn more about the Faraday Future FFZERO1 Concept. It has now been 75 years since the first Jeep was introduced in 1941, just ahead of the U.S. involvement in WWII. It was good timing, as it meant that U.S. forces were properly equipped for the war, and it also meant that the Jeep brand was able to grow very quickly. To commemorate the anniversary, Jeep is rolling out a whole series of special editions for all of the brand’s models. This includes a whole, frankly impressive, range of exclusive paint colors and other aesthetic touches and options bundles. The Renegade 75th Anniversary Edition isn’t quite as optioned up as some of the other special editions, as Jeep clearly wanted to offer a whole range of pricing options, and with the Renegade being one of the more inexpensive models already, it wouldn’t have made a lot of sense to option it up too much. The package doesn’t make for a big increase in price, because if any brand knows how to make a special edition that’s worth buying, it is still definitely Jeep. 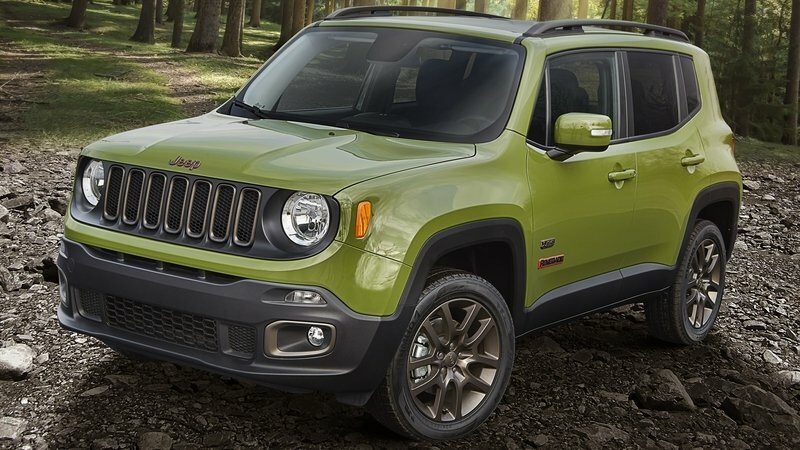 The special edition is based on the Renegade Latitude, which is the middle trim level of the small SUV, so a lot of options would be included whether it was a special edition or not. Continue reading to learn more about the Jeep Renegade 75th Anniversary edition. There is never a time when I feel more like a massive car nerd then when I’m picking a best of list. It’s not that these kinds of lists are inherently nerdy, it’s just that I think about them far too much, and invariably go full High Fidelity. As always, my list of top picks for 2015 has been amended several times and mulled over for days. I have tried to offer up a diverse list, both when it comes to pricing and also intended function, although this comes through mostly with the trucks section. I haven’t included any Volkswagens and I will admit that this is possibly unfair. I like VW’s cars, but I also used to love its diesels, so I feel my assessment of VW products is tainted. I’m not entirely sure any of them would have made the list anyway, but I will give the GTI an honorable mention here. I have included a couple of Audis and a Porsche too, so that kind of counts. It was a struggle not to make this list about half Ford products as well. Ford brought out a lot of new products this year, and it’s difficult not to be biased as the owner of a 2015 Ford. I resisted, perhaps wrongly, but that’s why naming the best of 2015 is a team effort. Throughout the ’60s, Ferrari’s money came mostly from slightly bigger 2+2 versions of its V-12 sports cars. It was a strategy that worked well for the young and still growing company, but as it entered into the ’70s, things started to change. The smaller Dino-badged vehicles were doing well and bringing in tons of money, with Ferrari eventually introducing a whole new line of V-8 models by the mid-’70s. The Daytona flagship sports car was replaced by the Berlinetta Boxer, a mid-engine car with a flat-12 instead of the V-12 that was still found in the bigger 2+2s. And, “bigger” is the right word, as the 2+2 got much bigger in 1972 with the introduction of the 365 GT4 2+2. The upshot of all of this is that the big V-12 2+2 cars found themselves, by the early 80s, not to be quite as important to the company, and also cut adrift from the company’s flagship models in terms of the evolution of their styling and drivetrain. Ferrari seemed not to know what to do with these cars, and it unfortunately sort of shows in the final product. The 412 was the last of this series of 2+2s, the best of them, even, for what it’s worth. Continue reading to learn more about the Ferrari 412. 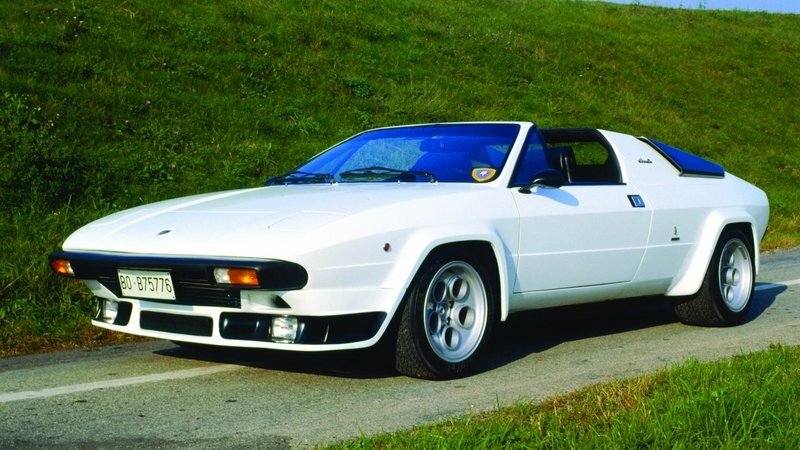 There have been several periods during Lamborghini’s history when it was a one-model marque, but from the late ’60s on into the ’80s, the company really made an effort to have a bigger and more diverse lineup. This is part of why Lamborghini had an SUV long before any other sports/exotic/luxury car company ever dreamed of making one, and also why it had an entry-level V-8 model a full two years before Ferrari brought out the 308. That first entry-level car the Urraco, a reasonably successful but not particularly good car. But when Ferrari brought out a much better entry-level car in 1975, something else was needed. The result was the Silhouette, and just from the name, you can probably tell it isn’t a usual Lamborghini. Not only does it sound like a brand of ’80s cologne, but it has nothing to do with bulls. And indeed the Silhouette wasn’t really a full-on model of its own. It was based in the Urraco, but had styling much more like the Jalpa, the entry level V-8 model that would succeed the Urraco. This is similar to the role the Reventon played more recently, except that the Silhouette was built right alongside the Urraco for its entire production cycle. Continue reading to learn more about the Lamborghini Silhouette. During the ’70s, there was a major shift in what the definition of a Ferrari really was. Enzo Ferrari had been opposed to mid-engine layouts for a long time, with the reasoning that a horse is supposed to pull a cart, so an engine therefore belongs at the front of a car. Enzo also believed that the setup would be too difficult to drive, but the company’s engineers convinced him that it wouldn’t be, and the first Belinetta Boxer models hit dealerships in 1973. But, Enzo still held firm that Ferraris should have 12-cylinder engines, and when the idea came up to sell road-going versions of the six- and eight-cylinder Dino race cars, these weren’t allowed to wear Ferrari badges. But, that too changed with the 308, a mid-engine, V-8 road car that ended up being such a massive success. Ferrari has kept a mid-engine, V-8 berlinetta as its primary mainstream model ever since. An improved version of the car, known as the 328, was sold all of the way up until 1989, and the 308 was also the basis for the 288 GTO, considered by many to be Ferrari’s first real supercar. Clearly, it was an exceptional car in its day. 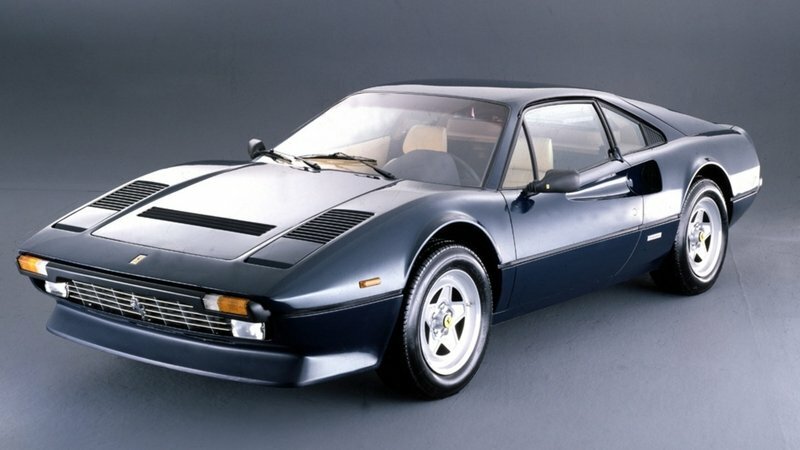 Continue reading to learn more about the Ferrari 308 GTBi. The ’70s were a slightly troubling time in automotive history. There were some indisputably great cars to come out of the decade, but there were a lot of other big bloated barges being made, and quite a few other questionable decisions. One of these controversial decisions was made by Ferrari, and it was to make a car with an automatic transmission. This accompanied the decision to build the 400 at all in the first place, something a lot of people still consider to have been a mistake on Ferrari’s part. So this is obviously a somewhat controversial car made all the more controversial. The 400A, as it was called in automatic form, debuted in 1976, the same year as the 512 BB and the year after the 308. It was nowhere near as popular as the 308 would prove to be, but the 400A did quite well. And, even if the purists did moan about the automatic transmission, the 400A outsold the manual-equipped version of the car by more than 2 to 1, and the same still held true when the 400 became the 400i in 1979. It does make sense though, as the ability to afford a Ferrari is not the same as the ability to drive one. Continue reading to learn more about the Ferrari 400 Automatic. It is a matter of some dispute as to which car should be considered the first Ferrari production model. While the first road legal car to wear a prancing horse badge was the 125 S, only two of these were ever made, and there was only one 159 S, the car that came after the 125 S. It was only once Ferrari moved from the 159 S to the 166 S that Ferrari’s cars became anything more than what we would today consider a prototype. That’s not to say that the 166 S was built in particularly large quantities, but it was more than two, and the related 166 MM and 166 Inter were built in even larger quantities still. Ferrari had been around for some time as a racing team before it ever started building cars of its own. Much of this had to do with Enzo Ferrari’s complete inability to get along with other humans, as a nasty split from Alfa Romeo left him without a marque to race for. He started building his own cars after WWII, and the 166 S was the first one to achieve real success in racing, thus spawning an actual production run of the car. Continue reading to learn more about the Ferrari 166 S.
Has there ever been a more iconic American car than the ’57 Chevy Bel Air? Of course there hasn’t, it’s not even close. Not even the Model T is as much a symbol of its age as the Bel Air. It represents American middle class postwar prosperity perfectly, and is a rare example of a car with styling that was exactly in line with contemporary fashion and design. There is something of a downside to this, though. The car has become such an icon that its greatness is now either taken for granted or completely ignored in the belief that its popularity was more about trendy fashion than the car itself. But, the Bel Air really was a fantastic car, Chevrolet’s top mainstream (defined as “not the Corvette”) offering. And, the generation of the car we’re talking about here actually includes the model years from ’55 to ’57, but styling and options were tweaked each year, and the ’57 is now considered to be the quintessential Bel Air. The car was just the right mix of style, performance and had an appealing price tag. It was a huge hit in showrooms, and was even a much bigger technical achievement than it usually gets credit for. 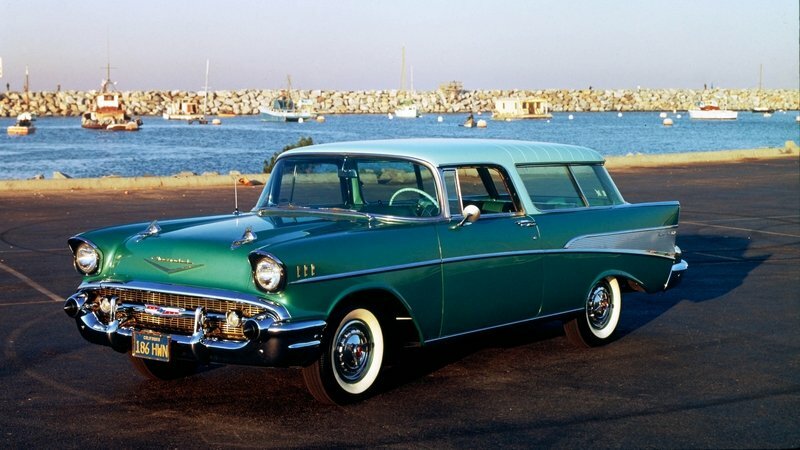 Continue reading to learn more about the Chevrolet Bel Air. Ferrari was not originally founded with the intention of making road cars. Scuderia Ferrari was founded in 1929 as a privateer racing team, and was later made the Alfa Romeo works team. Due to friction between Alfa and Enzo Ferrari (surprise! ), Ferrari would produce its first car in 1940. But this was just for racing, and it was only after rebuilding the factory following its destruction by Allied bombing in WWII that Ferrari expanded into building road cars. But, these early road cars only happened to be road legal. 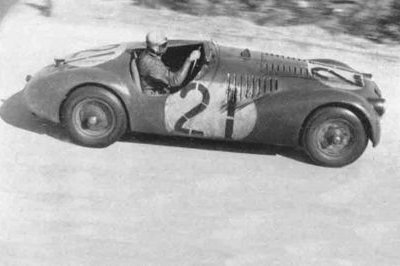 They were still built primarily for racing, and Ferraris from the ’40s were mostly built in small numbers and with almost no amenities. Early cars were built in very small numbers, with just two units of the first car, the 125 S, being made. And the second model was nothing more than a prototype, the 159 S. The first real production model was the 166, which existed in a few different forms. There was an actual touring car, Ferrari’s first, and a couple of racing models. 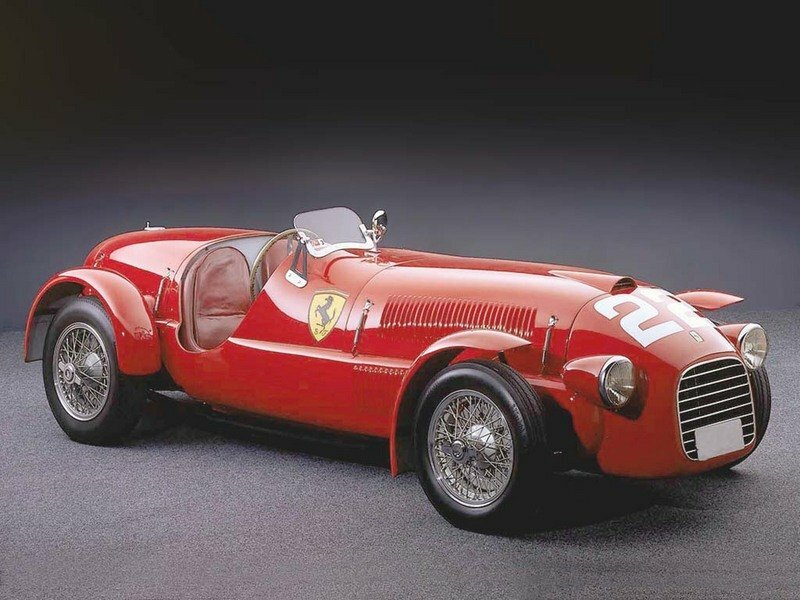 The first racing model was the 166 S, but this was soon replaced by the car you see here, the 166 MM, an evolved version of the S.
Continue reading to learn more about the Ferrari 166 MM Touring Barchetta. When talking about the Ferrari 250 GT California Spyder, you are sort of talking about two different cars, the long-wheelbase version and the later short-wheelbase version. The cars debuted a few years apart, and have different bodies and engines with different states of tune. But both are built with the same idea in mind, and you could almost call them two generations of the same car, if that wasn’t such a difficult word to apply to the 250. All Californias, whatever the wheelbase, wore Scaglietti bodywork, and all of them were convertibles. Throughout the ’50s and early ’60s, small European roadsters had become incredibly popular in North America. On the cheaper end of the spectrum, MG was selling huge numbers of cars in this newly discovered market, and in 1957, Ferrari debuted this new version of the 250 as a high-end convertible specifically for the U.S. market. 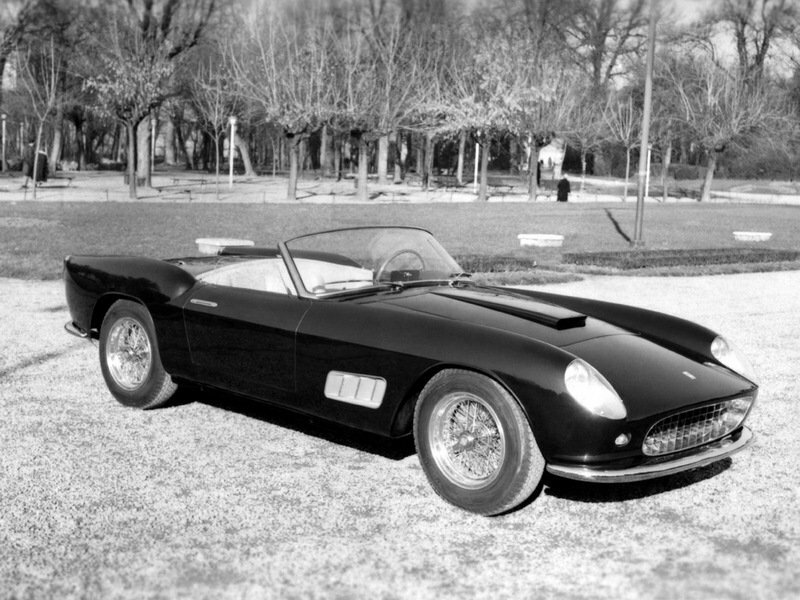 It was based on the 250 GT Cabriolet Pininfarina, but was a higher-performance version of the car, produced in much smaller numbers. In theory, the Pininfarina was meant to be sold in Europe, and the California in America, but those were more suggestions than rules, and certainly today you’ll find examples of both on either side of the Atlantic. 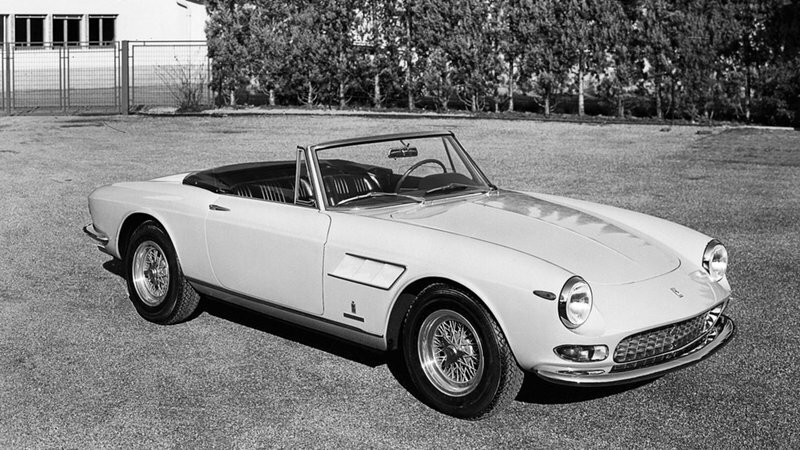 Continue reading to learn more about the Ferrari 250 California. The ’60s saw the emergence of one of the more interesting trends the automotive world has ever seen, big American V-8s in smaller European cars. There was AC, Sunbeam, De Tomaso, and one of the more interesting examples, Iso. Iso was a small company that had started out making refrigerators in the days just before WWII, and then moving into motorcycles just after the war. In the mid ’50s, it produced the Isetta bubble car, a somewhat hilarious little car that became much more famous when BMW started producing them under license. The Bavarians would end up buying out the Isetta tooling, and Iso was freed up to pursue much more ambitious automotive goals. That goal was to build a sports car, something originally intended to compete with the Fiat 2300. But, when the Iso Rivolta IR 300 didn’t sell very well, Iso decided to build a luxurious and powerful gran turismo, something to compete with Ferrari and Maserati. So Iso took its whole one year of sports car building experience and put it into making the Grifo. 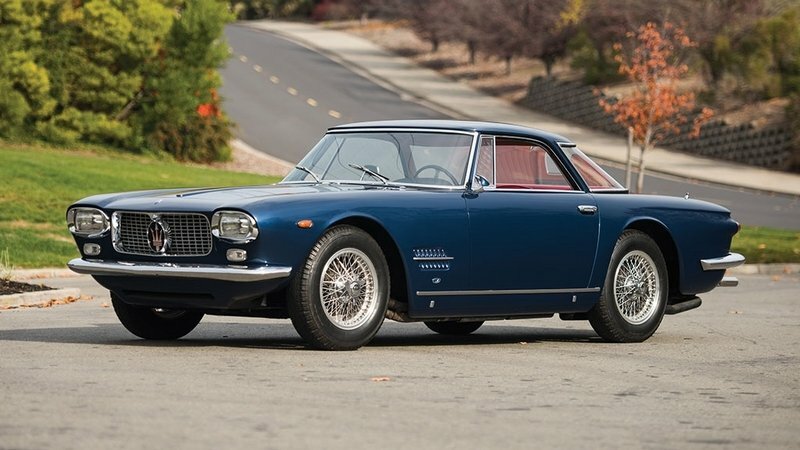 It might sound like a dubious plan, but the Grifo turned out to be an excellent car, with the combination of Italian style and American power working wonderfully together. 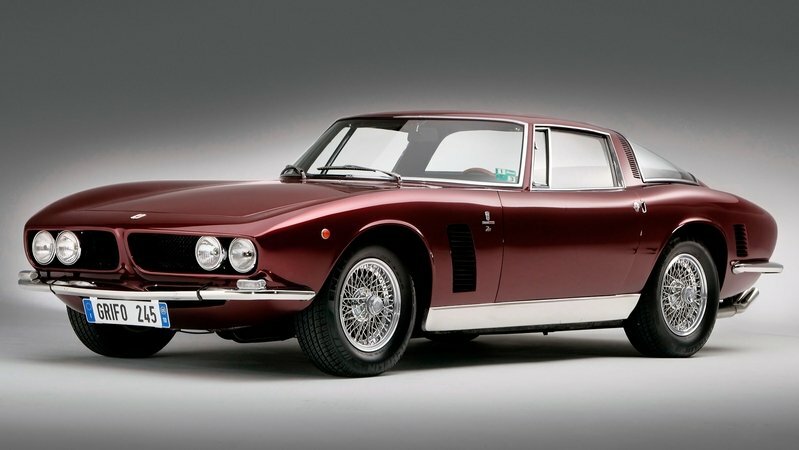 Continue reading to learn more about the Iso Grifo. There is no technical definition for what makes a car a supercar, and as such, there will always be some disagreement about what car should be considered the first to have reached this status. There is no shortage of possible contenders, but the biggest debate is between the Lamborghini Miura and this, the Mercedes-Benz 300SL. The 300SL was derived from a race car by the same name, which is noteworthy because it is usually the other way around, with race cars being built out of existing road-going models. It’s usually too difficult to go in the other direction, especially when you’re talking about a car that had overall wins at Le Mans, the Nurburgring and the Carrera Panamericana. But, in the ’50s, road cars and track cars weren’t so divorced from one another that it was impossible. The idea for a Grand Prix car that was repurposed for road use was pitched to Mercedes by the Austrian-born, but New York-based importer and car dealer Max Hoffman, who would also go on to suggest several successful cars to Porsche. Because of this, the car debuted at the New York Auto Show, a first for a Mercedes product, and was instantly the hit of the show. 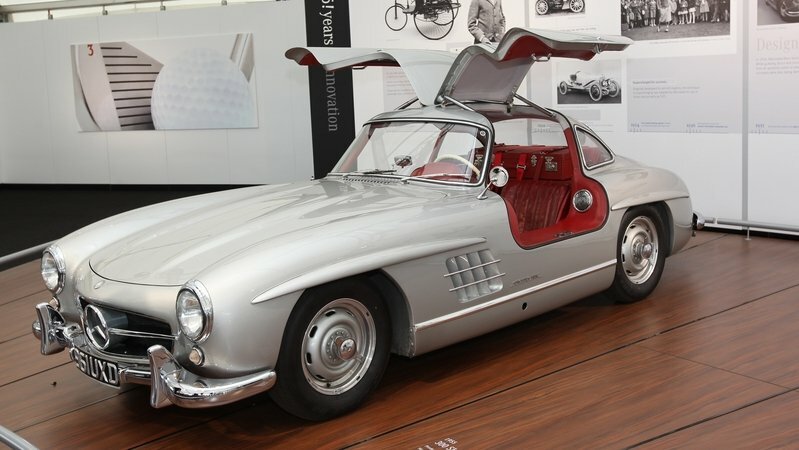 Continue reading to learn more about the Mercedes 300SL Gullwing. There has never been a time period when Ferrari’s model naming scheme has been easy to understand, and because of that, it might not be immediately obvious just how special the vehicle you are looking at is. The problem comes from the fact that the 365 GTS is a completely different car from the 365 GTS/4 in almost all respects apart from the engine, despite the incredibly similar names. So rest assured that the car you are looking at in this article is one of the rarest, most valuable and sought after of the late-’60s Ferraris. Thankfully, the 365 GTB/4 and 365 GTS/4 have been given the unofficial nicknames “Daytona” and Daytona Spyder” respectively. The nickname comes from Ferrari’s 1-2-3 win at the 24 Hours of Daytona in 1967, and not out of a desire to make nomenclature easier, but it still helps. The Daytona was the replacement for the 275 GTB/4, and in hardtop form immediately became the fastest production car in the world. A small run of convertible versions of the car were made toward the end of the Daytona’s production life. 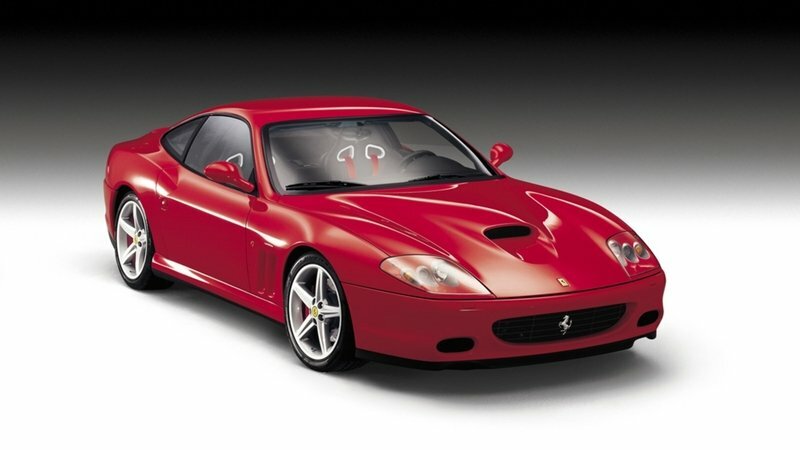 It was the last front-engine flagship Ferrari until the 550 Maranello debuted in 1996. 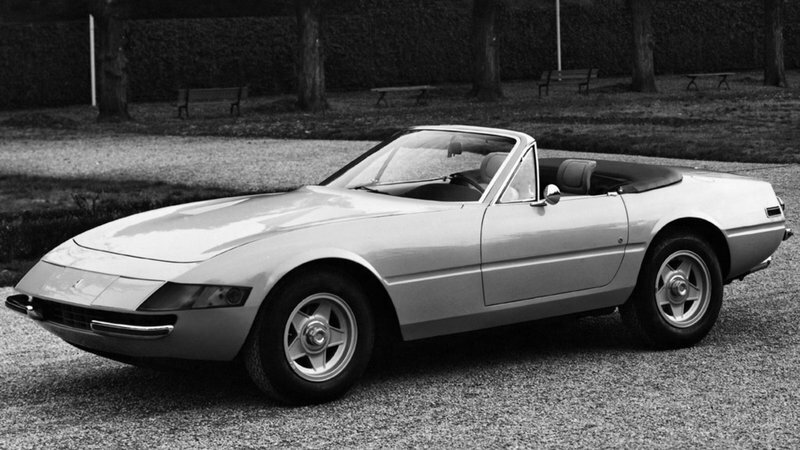 Continue reading to learn more about the Ferrari 365 GTS/4. The Chevrolet Chevelle was born during a tumultuous time in the history of American cars. Debuting in 1964, the initial plans for the car were reasonable and sensible. It was to take on the Ford Fairlane and take on the roll of the old ’55-’57 Bel Air as a fairly inexpensive way to have a modest amount of fun. But, 1964 would later see the introduction of the Ford Mustang and the Pontiac GTO, cars that changed the whole American automotive industry and put an emphasis on performance in such a way that it had never been before. Chevrolet reacted by first offering the option of a 327 engine in the Chevelle, one just barely allowed under GM guidelines at the time that restricted cars in this segment to engines under 330 cubic inches. But, Pontiac had a 389 in the GTO, and it soon became clear to Chevrolet that playing by the rules wasn’t going to get them anywhere. 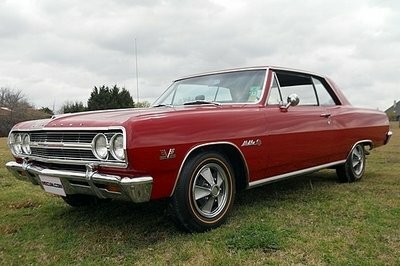 So in 1965, Chevy made a special 200-unit limited run of “unlisted” Chevelle Malibus with the new 396 engine. Thus was born the Z16 SS396, easily one of the hottest of the early muscle cars, and a rare object of desire still to this day. Continue reading to learn more about the Chevrolet Chevelle Z-16. The late ’60s produced some really incredible cars. It was an era when the Ferrari 275 GTB/4 and the Lamborghini Miura were breaking production car speed records and ushering in the era of the supercar. But, these cars weren’t how the makers of exotic Italian machines were making their money — it’s something we sometimes forget today, but it was bigger 2+2 touring cars that were the bread and butter of high-end Italian sports car market at the time. Lamborghini was a bit late with its offering in this niche, but most would agree that it was worth the wait. 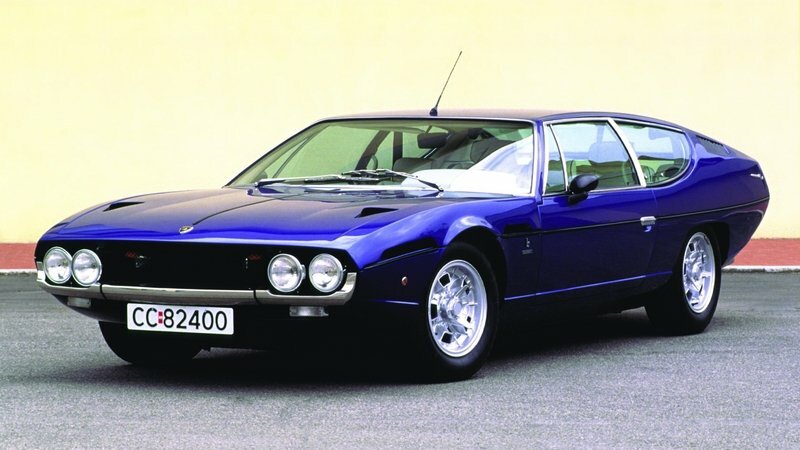 Lamborghini’s first 2+2 was the Espada, named for the Spanish word for “sword.” It was one of the more indirect references the company would use to bullfighting, but it still counts. Like the Miura, it offered outrageous styling, although the design was different enough to not look derivative. It also offered a ton of power and class-leading interior space. It should hardly come as a surprise that it became Lamborghini’s best-selling model for years to come. The car was tweaked several times over the years, and there are three different series of Espadas, but the biggest change from one to the next was always the interior design. Continue reading to learn more about the Lamborghini Espada. In its early days, Ferrari had an interesting take on grand touring cars. Although there were quite a few that had GT in their name, these tended to be essentially just slightly more comfortable versions of Ferrari’s race cars. The exception were the America cars, bigger cars with more comfortable interiors and more luggage space for use, as the name implies, in a country where distances were much greater and road trips lasted much longer. These were built in very small numbers, but by the end of the ’50s, Ferrari had realized that this same idea could work in a mass market car, and the 250 GT/E that followed was such a massive hit as to become the primary reason that Ferrari was able to remain solvent through the ’60s. So popular was the 250 GT/E that Ferrari followed it up with the 330 GT 2+2. And while more early 330s were nothing more than 250s with bigger engines, the 2+2 was an actual new car, designed to be a comfortable grand tourer. This car was an even bigger hit than the GT/E, and when Ferrari debuted the 365, the 365 GT 2+2 became the most popular of all the 365 body styles. Continue reading to learn more about the Ferrari 365 GT 2+2. Technically speaking, the car you are looking at is not a Chrysler Imperial. It comes from a period in the model’s history when Chrysler was trying to better differentiate its top-end luxury model from the rest of the Chrysler lineup, and Imperial became its own brand, with no Chrysler badging to be found on the car. This met with limited success, with most people still referring to the cars as Chryslers. But, the cars still sold, possibly not in the quantities that they could have, but certainly in a high enough volume to be profitable for Chrysler. The Imperial nameplate had been around since 1926, and was created in order to compete with Cadillac and Lincoln. It might never have had the 12- and 16-cylinder engines offered in other top tier American luxury cars at the time, but it did a good job of competing with entry level models by being something a bit different from the competition. In 1934, it adopted the aerodynamic bodywork of the Chrysler Airflow, and became the best selling of all the Airflow models. 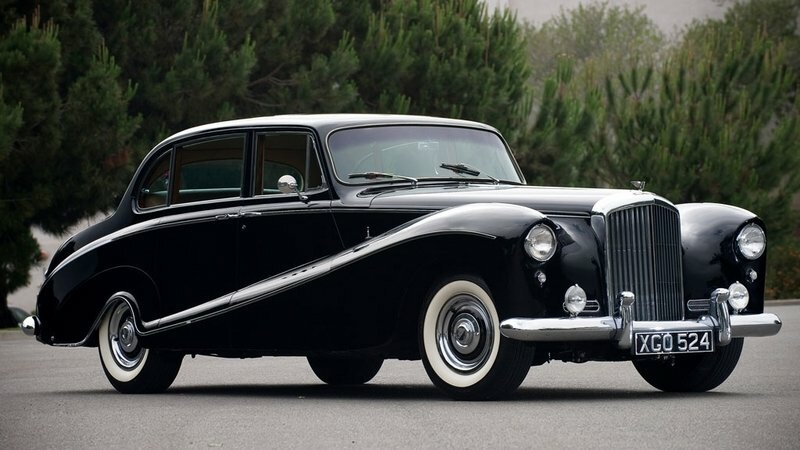 In 1953, the Imperial was the first postwar production car to get air conditioning. But, this still wasn’t enough to set it apart, and the Imperial became its own brand in 1955. When the second generation of the dedicated Imperial brand was launched in 1957, it set a record for Imperial sales that Chrysler was never able to break. But in 1964, the year of the car you see here, Chrysler came closer than any other year. Exterior styling had a lot to do with this, as it represents a major departure from the styling of the 1963 model. There is a good reason for this too. Chrysler had just hired the designer Elwood Engle away from Ford, the man who had just redesigned the 1961 Lincoln Continental and given a much more modern look. 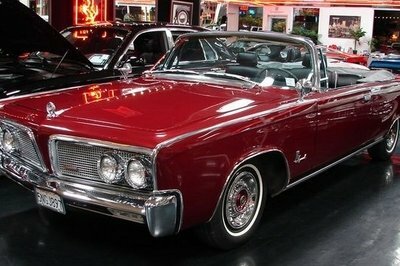 Chrysler wanted to give the Imperial the same kind of update, but it should be noted that the 1964 Imperial is still considered a second generation model, since it was just the bodywork that was changed. Continue reading to learn more about the Chrysler Imperial. The future of the luxury car market was very uncertain in the years immediately following WWII. With rationing still going in parts of Europe into the ’50s, and most German manufacturers having had their factories [justifiably] bombed by the Allies, it wasn’t entirely clear in the late ’40s and early ’50s just who would be either building or buying luxury cars. The companies that made successful luxury cars in the years immediately following the war were those that learned to emphasize performance, handling, and build quality over things like bespoke bodywork that had driven the prewar luxury car market. One of the most successful of this new kind of luxury car was the Mercedes-Benz 300 series limousines, which debuted in 1951. The following year, Mercedes made a coupe based on the 300 that was called the 300s, and this was followed up by an improved version called the 300Sc. The car was available as a hardtop coupe, cabriolet and roadster. It’s all very similar to how Mercedes uses the current S-Class, a car that is available as a sedan, limo, coupe and soon even as a convertible. It was a big success for Mercedes, and gave established top-tier luxury marques a run for their money. Continue reading to learn more about the 1956 Mercedes-Benz 300 SC Roadster. Imagine for a moment that you’ve gone to an international car show, and on arriving discovered that John Deere has built a car. And not only that, but it is a super fast and exotic grand tourer, designed to take on the biggest names is GT carbuilding. You’d probably have to go home and lay down, but you would have also gotten an important insight into what it must have felt like to be at the 1963 Turin Auto Show. Because that is where Lamborghini, up until that point a company known for building tractors, unveiled the 350GTV. 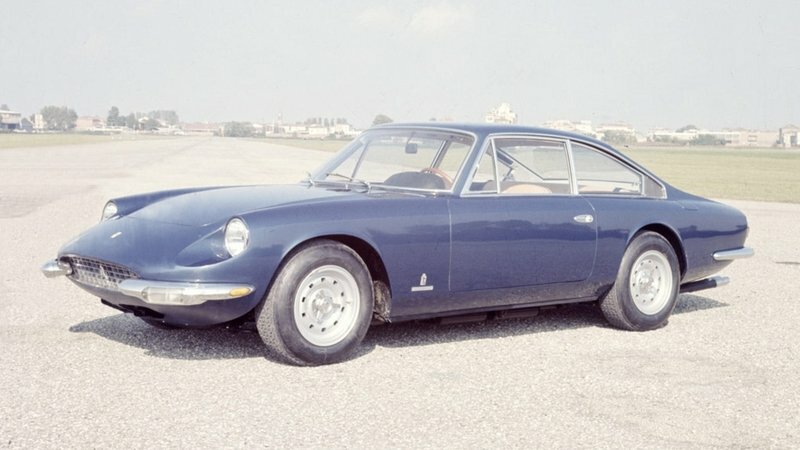 This was the prototype that would lead to the production 350GT, Lamborghini’s first production car. The seed for the 350GTV was planted in 1958, when Ferruccio Lamborghini bought a Ferrari 250GT, the first of three 250s he would own. He liked the car, enough to own three of them, but he found the racing-derived machines to be lacking in interior amenities, and that the clutch would wear out far too quickly. The clutch was an especially big problem, since it required trips back to Maranello to have them replaced. Lamborghini tried to have this addressed, but Enzo Ferrari was famously too proud to listen to criticism, so Lamborghini decided to make his own GT car. 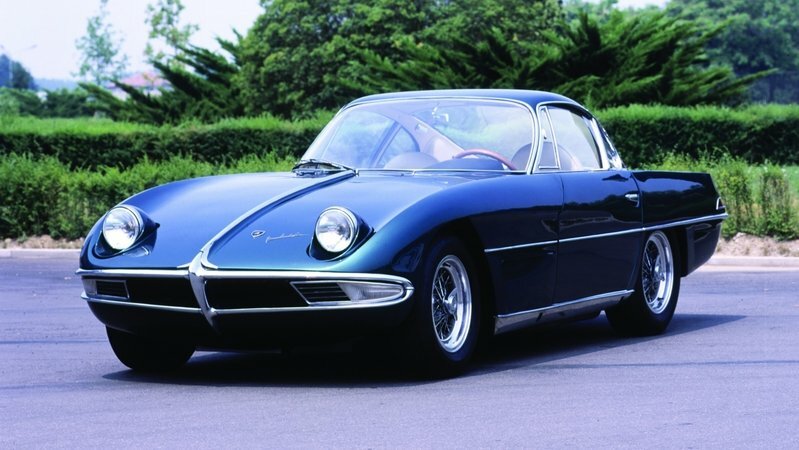 Continue reading to learn more about the Lamborghini 350 GTV. Delage was one of the more traditional of prewar luxury carmakers in its day. The company earned a solid reputation in motorsports during the early days of the automobile, including a win at the 4th ever Indianapolis 500. During the interwar period, this considerable engineering prowess was turned to making luxury cars, and the D8 was the company’s flagship model, with the D8 S being an even more powerful version of the car. But Delage only handled the engineering of the car. Being such a traditional company, Delage built just the chassis of the D8, believing that their monied customers would want a custom body made by one of Europe’s many fine couchbuilders operating at the time. So the story of this particular car is as much about the coachbuilder that designed the body as it is about the Delage chassis. And that body is the work of Fernandez et Darrin, a firm building the designs of the American designer Howard Darrin with financial backing from the French banker Fernandez. The design represents the absolute pinnacle of French fashion, a look befitting one of the most expensive cars of the day. The D8 was a close rival to several other luxury brands, particularly French brands like Bugatti. Continue reading to learn more about the 1934 Delage D8 S Cabriolet. The Porsche 356 was the first production car to wear a Porsche badge. Ferdinand Porsche, and his son (also named Ferdinand, but usually called “Ferry”) had been involved in the auto industry for a long time, but Ferry had a vision to make road cars with his family name on them. During WWII he had owned a Volkswagen that he had supercharged, and this gave him an idea, that a small car with a reasonable amount of power could be more fun than a big car with a lot of power. Thus the idea for the 356 was born, and the car would grow up along with the company that made it. Since the 356 was Porsche’s first model (debuting in 1948), and it would stay in production for a fairly long period of time, every 356 tells a part of the story of the early years of Porsche. As the most popular variant of the car, the 356B gives us a particularly interesting cross section of company history. The 356 you see here is a 1960 model, notable for being the first of the 356s that would incorporate upgrades that would lead a few years later to the 911. Indeed, early 911 sketches were made alongside the plans for upgrading the 1960 356. 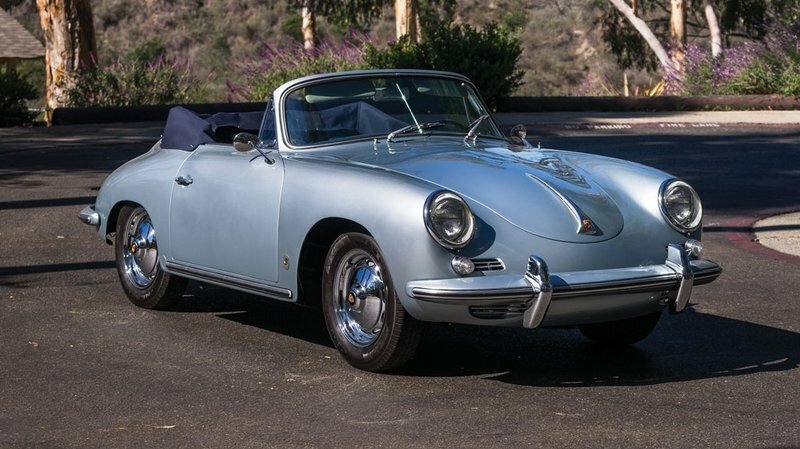 Continue reading to learn more about the 1960 Porsche 356 B 1600 Cabriolet. It wasn’t that long ago that the subcompact segment was something of a joke in North America. There wasn’t much interest in them and manufacturers put very little effort into generating interest in a segment with such slim profit margins. But, when gas prices shot up a few years ago, manufacturers realized that they needed to turn out some much better small cars or they would risk being left behind in what has now become a highly competitive segment. Mitsubishi could be said to have been left behind, and the Mirage is consistently the lowest-rated car in this segment by any number of automotive publications. So Mitsubishi has given the Mirage a facelift, one that is undeniably an improvement. The facelift isn’t a complete redesign though, so a lot of the Mirage’s characteristics, both good and bad, have remained. But enough has changed that it’s worth taking another look at the car, and for some who were on the fence about buying one, this might be just the right amount of encouragement. Of course, those people will have to wait a little while, as the Mirage being shown at the L.A. Auto Show is a 2017 model, and therefore won’t be available for a little while. 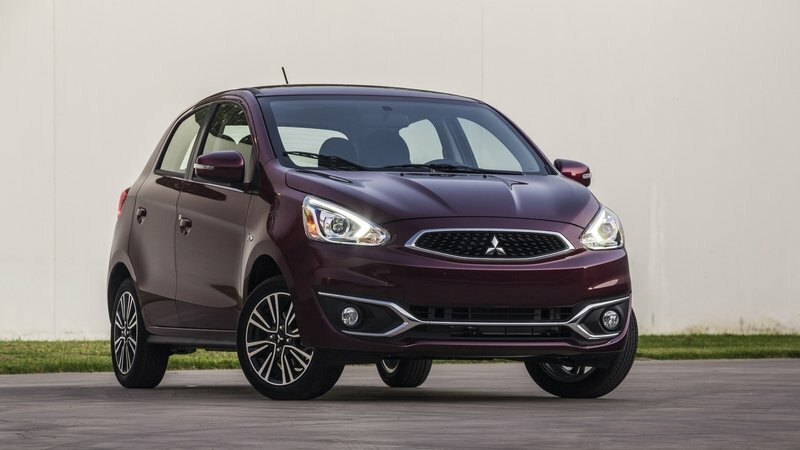 Continue reading to learn more about the 2017 Mitsubishi Mirage. Today we tend to think of front-wheel-drive in association with cheaper cars, or cars that are decidedly unglamorous. But, when the technology was still new, the possibilities that it offered were exciting, and it genuinely did bring about a revolution in automotive design. The most famous of the early front-wheel-drive cars is the Citroen Traction Avant, a car that was actually just given the name for the French word for front-wheel-drive. The Citroen certainly popularized front-wheel-drive, but several years before it debuted, an American company called Cord introduced the system for a new model called the L-29. Despite its revolutionary drivetrain layout, the L-29, which debuted in 1929, didn’t look especially different from the other cars in its price range at the time. It was also introduced just as the stock market crashed, so it never did sell all that well. Cord’s second front-wheel-drive model, however, was a whole different story. Not only did it have this new and highly advanced drivetrain, but the styling now looked the part, and nothing before or since looked like it. This car was the 810, which was renamed the 812 in its second year of production after a number of design tweaks were made. Continue reading to learn more about the 1937 Cord 812 Supercharged Phaeton. Hello, I am SPC Jacob Joseph, a 92F with the United States Army Reserve and a Top Speed contributor. I normally review cars, but for Veteran’s Day I will be telling you about the M1A2 Abrams Main Battle Tank. The M1A2 is an evolution of the M1, having been updated over the years since it was first introduced back in 1980. Another set of improvements are known to be in the works for an M1A3, but at the moment, it is the A2 that forms the backbone of the US’s tank arsenal. The M1 remains one of the most advanced, albeit also heavy and expensive, tanks in the world. Development of the M1 began in 1972 as a replacement for the M60 Patton. The USSR had just begun deploying the T-72 tank, and the US was looking to one-up this new top-end weapon in the Soviet arsenal. 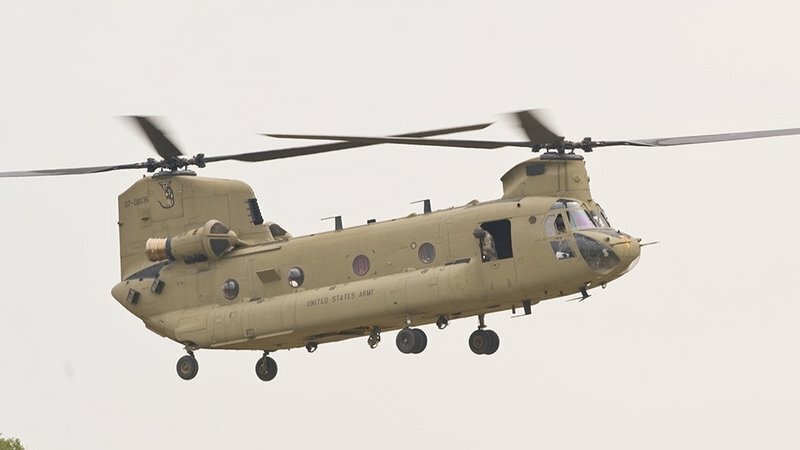 The contract to produce the M1 initially went to Chrysler Defense, but this was acquired by General Dynamics shortly after production began, and the bulk of the 10,000 units produced have been made under General Dynamics ownership. 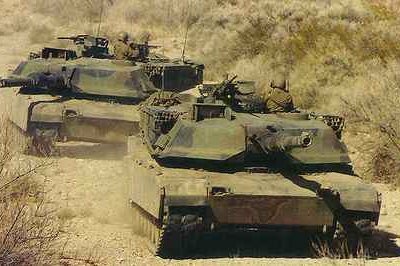 The Abrams is named after General Creighton Abrams, former Army Chief of Staff, as part of the American tradition of naming tanks after famous generals in history. Continue reading to learn more about the M1A2 Abrams. Every year, the SEMA show gathers the best in aftermarket automotive equipment out in the desert of Las Vegas. But this year, Kia has a car that should put you in mind of an entirely different part of the country: the Pacific Northwest. And, if the photos and general motif of the Sorento-based concept don’t do it, Kia has named the show car “PacWest Adventure.” The concept is a shot at imbuing the Sorento with a bit more off-road credibility, and truthfully, Kia did a very thorough job with it. 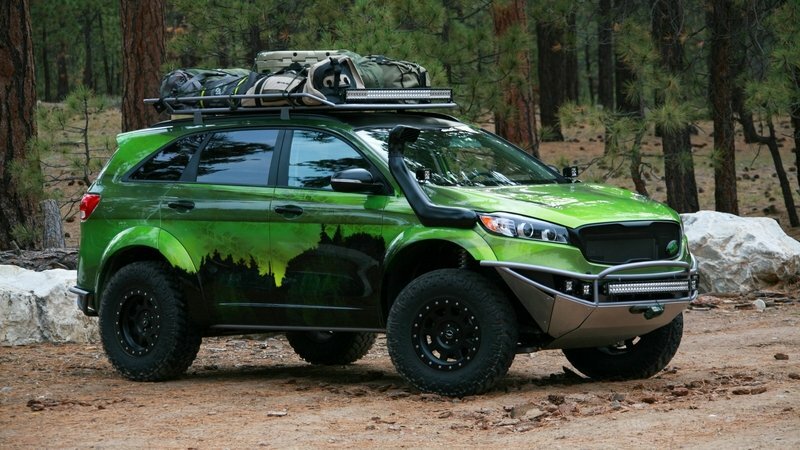 Of course, the Sorento generally isn’t the first vehicle that people think of for off-roading, so Kia did have something to prove with the concept. The end result is barely recognizable as a Sorento, even though — with the exception of the rather elaborate paint job — almost all of the exterior modifications are bolt-ons. Moreover, outside of a couple of showy choices to attract the eyes of SEMA’s show-goers, this is primarily a sober, and highly practical machine for a weekend outing in the northwestern wilderness. Just look past the crazy paint and the odd choices made for the interior, and it’s difficult to think of a better way to outfit a Sorento for off-roading. Continue reading to learn more about the Kia Sorento PacWest Adventure. So, even Jeep’s SEMA vehicle is a nod to the big unveiling in Moab, but that’s fine — Jeep can call it whatever it wants so long as we keep getting new customized concepts. The concept, named the Red Rock Concept after the club that inspired its creation, is different in one other important way. It hasn’t just been built to show off the kinds of accessories that you can find in the Mopar catalog. The Red Rock Concept is also a preview of an upcoming special edition of the Wrangler — one that will also be called Red Rock. 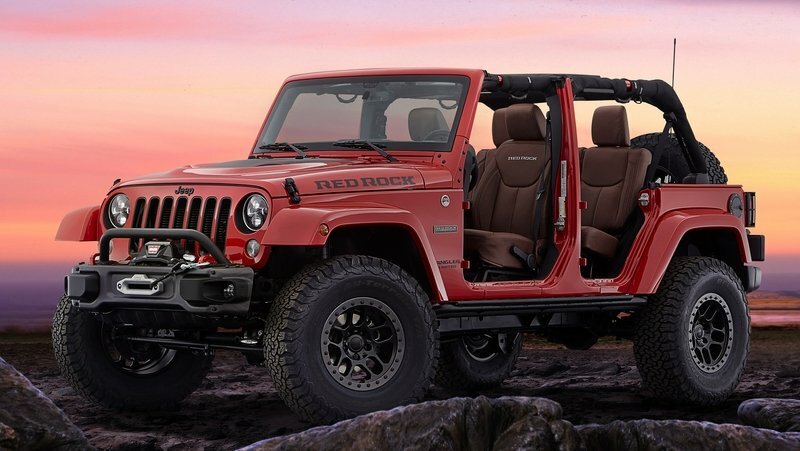 Continue reading to learn more about the Jeep Wrangler Red Rock Concept. Toyota really jumped on the Back to the Future bandwagon this year when the date that Marty McFly traveled to rolled around. Toyota saw it as an opportunity to promote its Mirai hydrogen fuel cell vehicle, highlighting it as futuristic technology despite its lack of flying capability. It all seemed a little forced, but a lot of people probably never heard about it, given the din of all the other Back to the Future things going on. So, Toyota is following it up with a Back to the Future-themed Mirai concept for the SEMA show in Las Vegas, and you have to hand it to Toyota, it really committed to the premise. The car in the movie, a DeLorean DMC-12, is obviously a very different sort of vehicle than the Mirai, so the SEMA car has been heavily modified. It does seem like a lot of effort to go to for a car that never actually had anything to do with the movie in the first place, but it is pretty amusing to see, and you can forgive a lot for the sake of a well made joke. 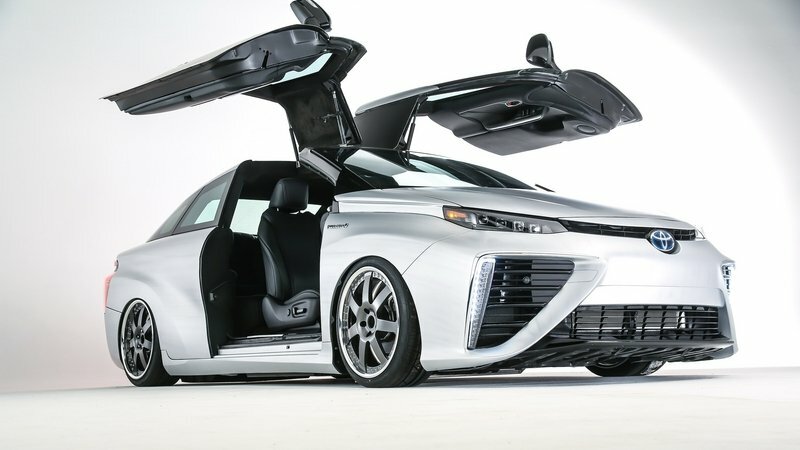 Continue reading to learn more about the Toyota Mirai Back to the Future Concept. 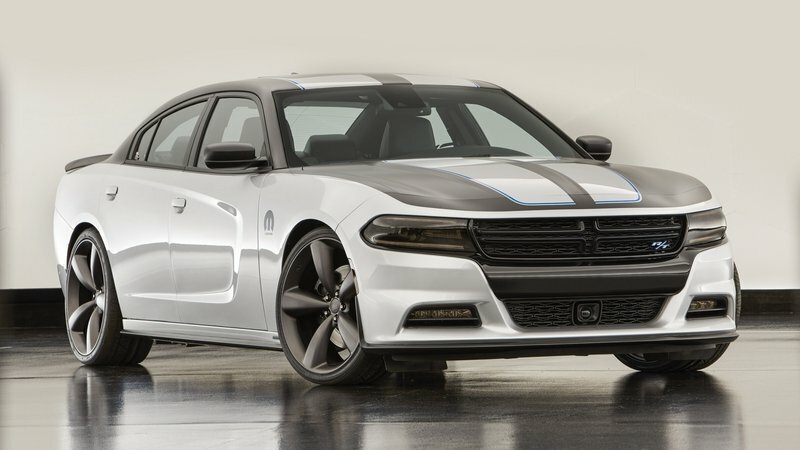 Dodge would like you to remember, as you look through the countless aftermarket examples of its cars that will turn up to SEMA, that there are also quite a few Mopar options for customizing your Charger. Even though an argument could be made that optioning your Charger with Mopar accessories doesn’t really make it aftermarket, this kind of thing is always common at SEMA, and from more manufacturers than just Dodge. There are a number of Mopar cars at this year’s show, and for the Charger, the in-house tuner has a concept called the Dodge Charger Deep Stage 3. The car is tame by SEMA standards, but is a realistic approximation of what most people who wish to tune their Charger will probably be looking to do. Most of the modifications are existing products that are available right now from Mopar, but not quite everything. Hopefully this is one of those situations where Mopar is using the concept as a way of gauging the public’s reaction to the car, and future offerings will be based on that reaction. But, even if that isn’t the purpose, and Mopar just wants to remind everyone that you can buy go-fast parts right from the dealership, it’s still a good looking car. Click past the jump to read more about the Dodge Charger Deep Stage 3. For all of the land yachts and giant ridiculous tailfins that were popular on American cars in ’50s, there were also a lot of Americans buying European roadsters. This was the period when MG got a foothold in America, on the strength of the MGA roadster, while more expensive models like the Mercedes-Benz 300SL found there way into the garages of America’s super rich. New York automobile importer Max Hoffman, who was the man responsible for many of the high-end roadsters of the day making it over to America, figured that there was a gap in the market below the 300SL, and suggested to BMW that a roadster based on the 501/502 sedan might sell to Americans. Thus was born the 507 roadster in 1956. BMW actually developed two roadsters at the same time, the bigger 503 flagship for the European market and the smaller 507, using a shorter version of the same platform. Even though the cars were based on the existing 502, BMW couldn’t keep the cost down enough to make the cars competitive, and fewer than a thousand units of both models combined were ever produced. The 507 is not only the rarer of the two, but it is also generally considered to be the more stylish. 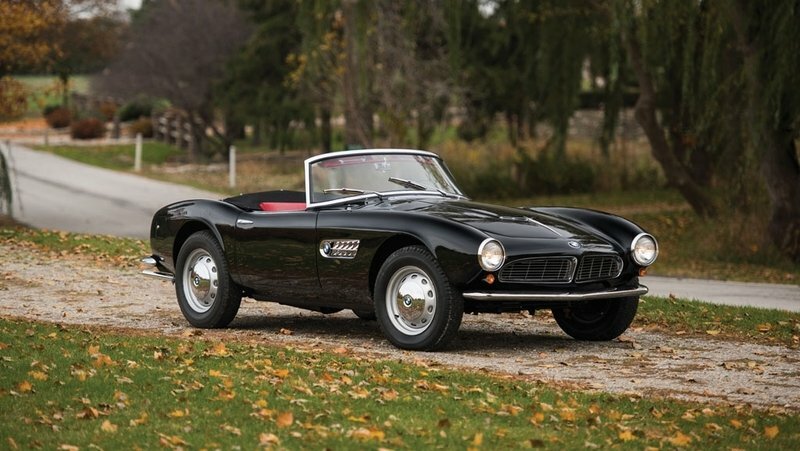 Continue reading to learn more about the 1959 BMW 507 Roadster Series II. Nissan made a prudent business decision with the relaunch of its Datsun brand last year. The thinking was that, while any company selling cars in North America, Europe, Japan or Korea would have to fight tooth and nail for every little share of the market, the company that learns not to treat emerging markets as an afterthought could dominate them with very little effort. So, Datsun was relaunched, this time to actively sell to markets in India, Russia, Indonesia and South Africa. Datsun isn’t completely unchallenged in these markets, but the fact that 420 new Datsun dealers have been added to the network since the brand’s relaunch, shows that there was a lot of room for growth. So, Datsun is jumping on these markets before anybody else gets the idea, and also looking into expanding into more. 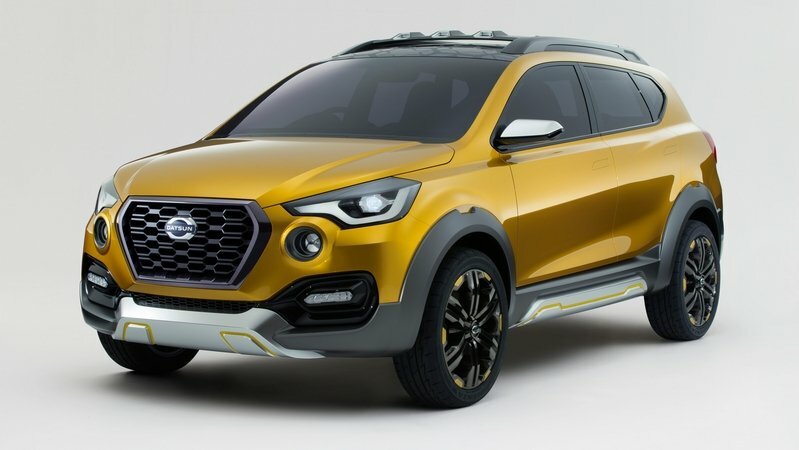 A wider variety of products will help with this, so a new Datsun GO-Cross concept was just unveiled at the Tokyo Motor Show. The concept is a crossover based on the existing GO+ hatchback. This is because, at the moment, the closest thing to an appropriate crossover that Renault-Nissan has for these markets is the Dacia Duster, and that just isn’t quite right. Continue reading to learn more about the Datsun GO-cross Concept. Hybrids are unquestionably here to stay in the world of motorsports. From the KERS systems used in Formula 1 to the hybrid race cars that have won the last 4 years in a row at Le Mans, hybrid technology has proven very useful for going fast. But plug-in cars haven’t quite so readily adopted for racing, as limited range and long charging times make them of limited use. But Mitsubishi is really determined to make the idea work with its rally car based on the Outlander plug-in hybrid. The car has been racing for a while, but Mitsubishi made some changes to it ahead of the Baja Portalegre 500 race. Mitsubishi has even enlisted the help of two-time Dakar winner Hiroshi Masuoka. So if anybody can make the car a success, it’s him. Masuoka is also serving as team captain, and as a co-driver he has Pascal Maimon, who also did co-driver duty when Masuoka won the 2002 Dakar Rally. The car has competed in the Asia Cross Country Rally for the last three years, alongside a number of more traditional off-roaders made by Mitsubishi, such as the Triton and the Pajero, but this will be its first time at the Baja Portalegre 500. 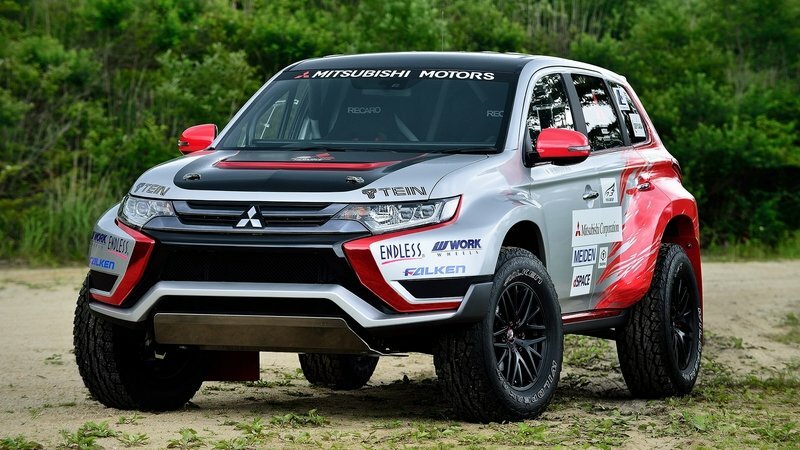 Continue reading to learn more about the Mitsubishi Outlander PHEV Baja Race Car. Porsche did not invent turbocharging. It didn’t even make the first production car with a rear-mounted air-cooled turbocharged flat-six; that honor goes to the Chevrolet Corvair. But while many of the early cars that used turbocharges had them as a substitute for a bigger engine (something that is currently happening again), the Type 930 911 was given a turbocharger in order to turn what was already a very fast and capable car into something even faster. It wasn’t a replacement for displacement, it was in addition to displacement. The 930 took turbocharging to a new level of performance for road cars, one that would go unmatched for nearly a decade. The 930 is the only turbocharged 911 model to have a number designation that is different from the rest of the generation that it is based off of, as it was seen at the time as being such a radically different product. 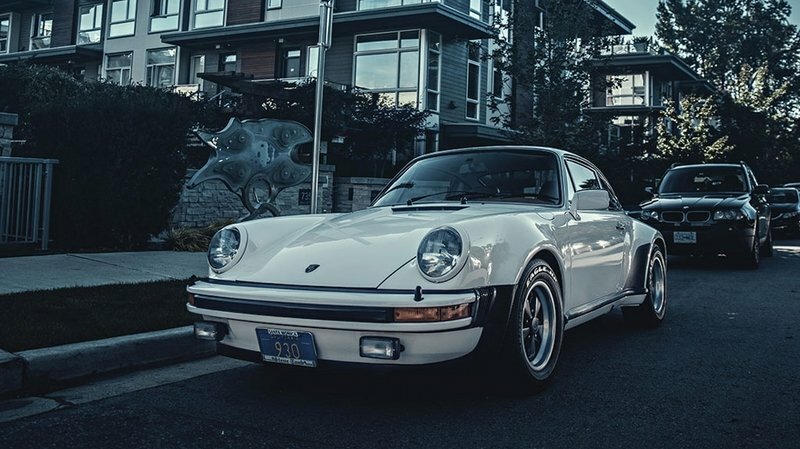 And it must have been especially impressive to those who first saw this particular 930, as this is would be one of the first 930s imported to America. U.S.-market 930s are also the only turbos in 911 history to have been badged as a "Turbo Carrera", making it that little bit more special. Continue reading to learn more about the 1976 Porsche 911 Turbo Carrera. Honda’s first mass market fuel cell car has taken a lot of different forms as it evolves into something that you can buy at a dealership. The first prototypes were shown all of the way back in 1999, then there were a number of test vehicles build from there. Another concept showed up in 2006, followed by the FCX Clarity in 2008, which was produced and leased in very limited numbers for research purposes. Then Honda showed off a concept of an actual production model at the 2015 Detroit Auto Show, and the name of the project changed from FCX to FCV. This represents a change from “Fuel Cell eXperimental” to “Fuel Cell Vehicle”, signaling that Honda is finally serious about putting the car into production, even if it does have a tremendously uncreative name. Now Honda is announcing that a production-ready version of the car will debut at the Tokyo Motor Show, along with a real name, and a few teaser photos have come out as well. The car has been toned down from the concept, obviously, but the evolution of the model is still evident in the new design. And although Toyota might has beaten Honda to market with its own fuel cell car, this is still a very important vehicle. 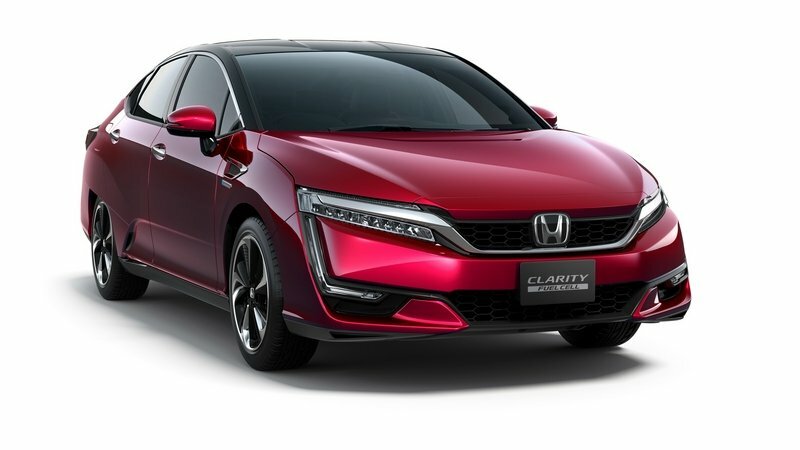 Updated 10/29/2015: Honda dropped the official details on the next generation Clarity Fuel Cell Vehicle during its official debut at the 2015 Tokyo Motor Show. Sales in Japan will begin in early 2016, with Europe to follow later in the year. Continue reading to learn more about the 2016 Honda FCV. The car that you are looking at here may appear to be a wacky, futuristic concept, but it is in fact an early prototype for the next generation of the LS. 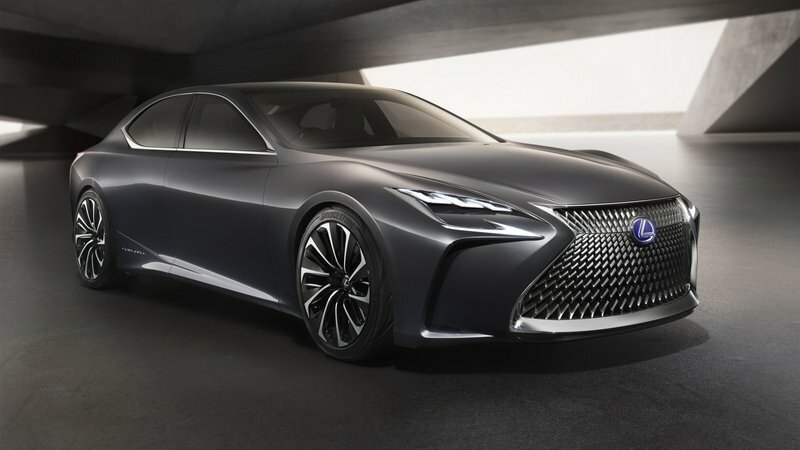 This is hinted at by Lexus referring to it as a “flagship concept”, as well as the fact that the fourth generation of the LS is about a decade old at this point. Since the LS has always been such an incredibly conservative machine, it’s a bit of a rare treat to see a concept version where the designers and engineers could really run wild. The concept has just debuted at the Tokyo Motor Show as the centerpiece of the Lexus display. It is powered by a hydrogen fuel cell, a technology that Toyota is already putting into production cars. It may hint at an expanded list of optional drivetrains for the LS in its fifth generation, or it might just be used because that’s the sort of thing that you do with concepts. But whatever is used to make it go, the LF-FC concept is an interesting idea of the LS, and maybe it will help to correct the sales slide the car has been in for several years. Continue reading to learn more about the Lexus LF-FC Concept. In some Asian markets, it is fashionable to give cars English names, but picking names that actually mean something or that don’t sound absurd to native speakers isn’t all that important. This is why there are cars with names like Deliboy, Detroit Fish, Life Dunk, Rural Nanny, and Mysterious Utility Wizard. These are all good for a chuckle, but now Nissan has raise the weirdness bar with a new concept called Teatro For Dayz. The big difference between this and the other absurdly named cars is that Nissan tells every detail of what it was doing in picking this name. Teatro For Dayz goes beyond simple bad English. The word “teatro” is indeed Italian, meaning “theater,” and then there is the intentional misspelling of “days.” This gets into the reason why this concept exists, it is part of a long tradition of car companies clumsily trying to pander to young people. But Nissan is taking it so much further than ever before with this concept, and the press release even goes so far as to invent a new term for young people. This term is “share natives,” implying that they have grown up always talking about themselves on social media. 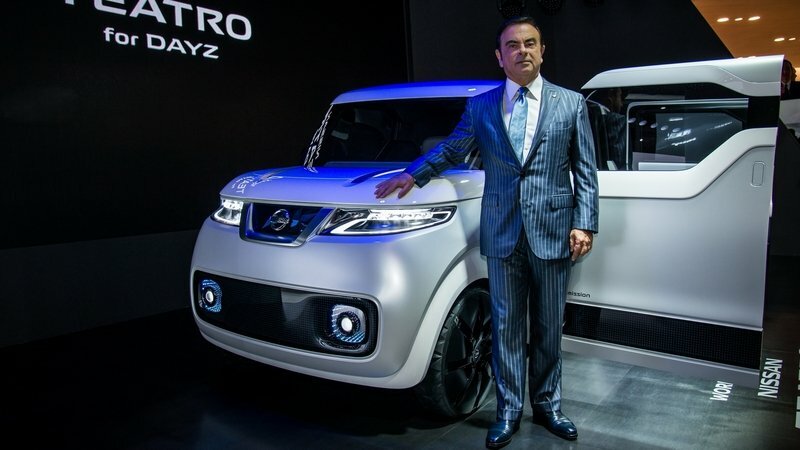 Updated 10/28/2015: The new Nissan Teatro For Dayz made its world debut at the 2015 Tokyo Motor Show. You can now watch a series of new live images and two new video that highlight all the technologies featured in the concept. Continue reading to learn more about the Nissan Teatro For Dayz Concept. You don’t hear a lot about Spanish supercars, either as classics or as current models. Not only that, but the early ’50s was a pretty unlikely time for the country to be producing one. Spain had been through a civil war in the ’30s, WWII in the ’40s and was still in the grips of a fascist dictatorship. Yet somehow the semi-state-run Pegaso, a company that primarily built trucks and military equipment, decided to build a grand tourer. And not only did it build a grand tourer, but it built one of the most technologically advanced cars of its day, one that easily rivaled the cars built by the top companies at the time in desirability. The name Pegaso is Spanish for “Pegasus”, although the company had this name before it started building sports cars, so any one-upmanship resulting from having a flying horse as a mascot when Ferrari’s merely pranced is coincidental. Still though, it’s the kind of coincidence that really works out. 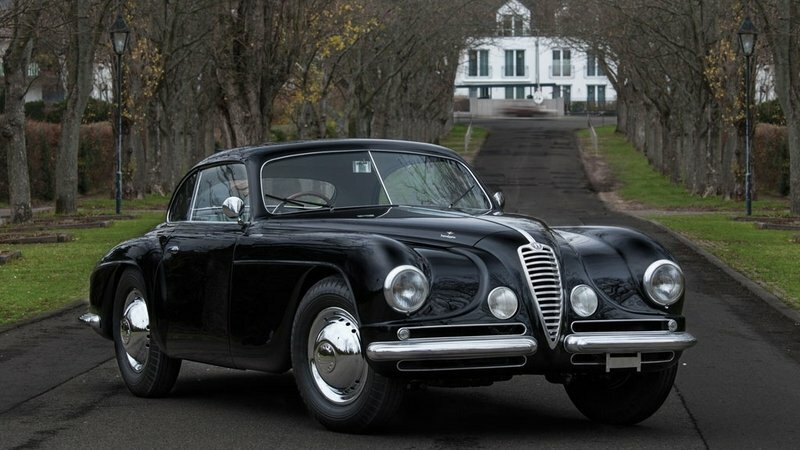 The car was the pet project of Pegaso’s chief engineer, Wifredo Ricart, who had gone to Italy at the outbreak of the Spanish Civil War to work for Alfa Romeo, returning to Spain after WWII to eventually build this remarkable car. 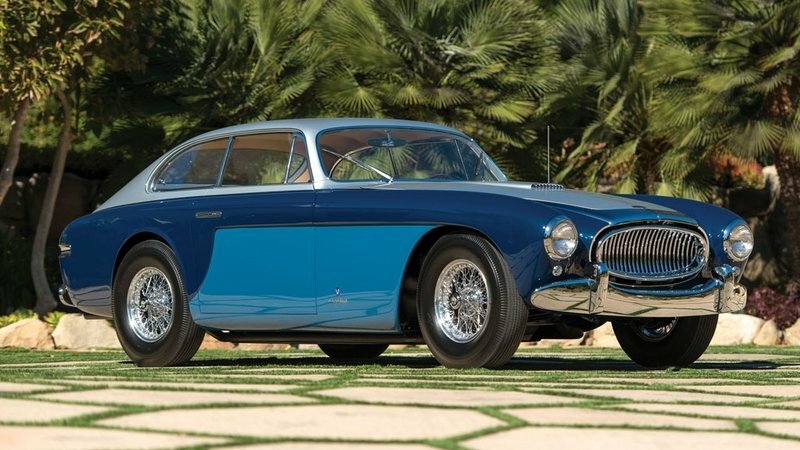 Continue reading to learn more about the Pegaso Z-102 3.2 Berlinetta By Touring. As a fuel efficient form of urban transportation, the Chevy Sparkdoes its job exactly as it is supposed to. The problem with this is that the Honda Fit and the Ford Fiesta also do this, but are also a lot more fun to drive and are even better looking. Spark sales have consistently lagged far behind the more popular cars in this segment, and that’s why a new Spark will be debuting in just a few months. But, before that happens, Chevy would like to send the current Spark out with a bang, and will be bringing a special version to the SEMA show next month. The car is being called a Spark RS, although this is a fictional trim level, at least for this generation of the Spark. The car is part of the Red Line Series - a whole line of enhanced cars that Chevy is bringing to SEMA. So the Spark will be showed alongside new special versions of the Camaro, Malibu, Silverado, Colorado and Trax. The enhancements to each of these models are all essentially the same, but there are bound to be some other versions of several of these at SEMA, especially of the Camaro. 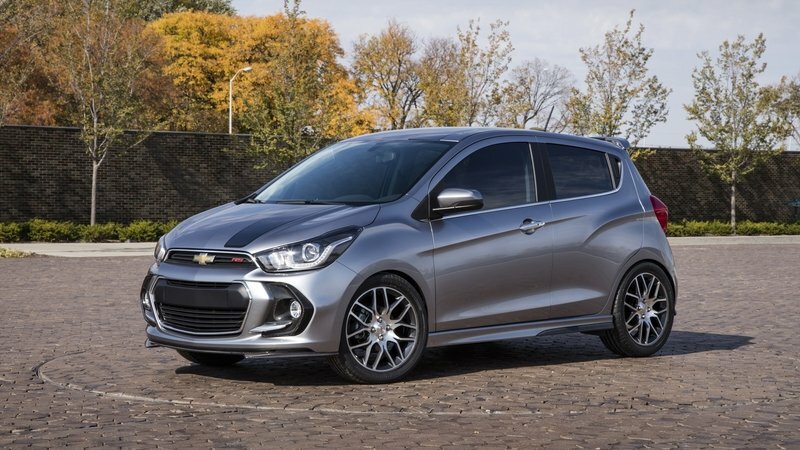 Continue reading to learn more about the Chevrolet Spark RS Red Line Series Concept. Much of the architecture and design that we think of, and even still refer to as modern, is really getting to be fairly old at this point. The popular modernist design movements of the ’50s and ’60s had their roots back in the period between WWI and WWII, when a handful of pioneers shaped what it is to look modern. In America, we had the work of Frank Lloyd Wright, but for the French, the biggest influence was a man who called himself simply “Le Corbusier.” Le Corbusier (born Charles-Edouard Jeanneret-Gris) didn’t design cars, but Renault wanted to pay tribute to the man with a car that incorporated elements of both his design style and also the art deco cars of the ’30s. The concept is called the Coupe Corbusier, and Renault seems so enamored of the man that the press release says practically nothing about the car itself. But, since the car is a design study, and not a concept that seems in any way intended for production, it is far more important for it to be interesting than for us to know any real details about it. It is indeed very interesting, and even for a concept, it is unusual. But, in a good way. 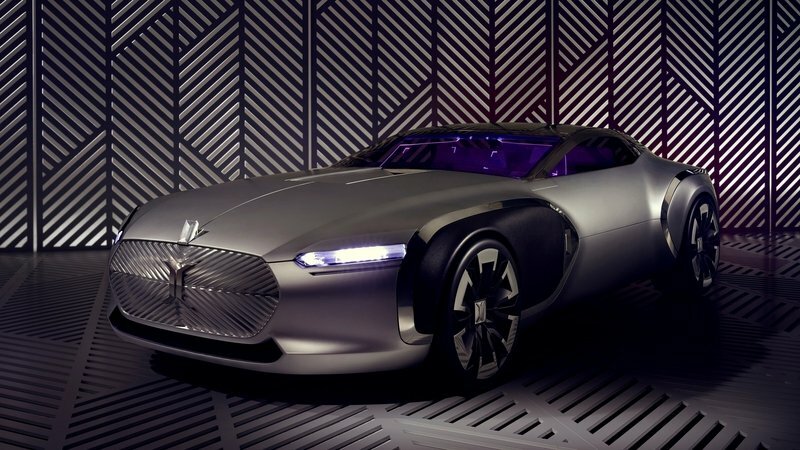 Continue reading to learn more about the Renault Coupe Corbusier Concept. 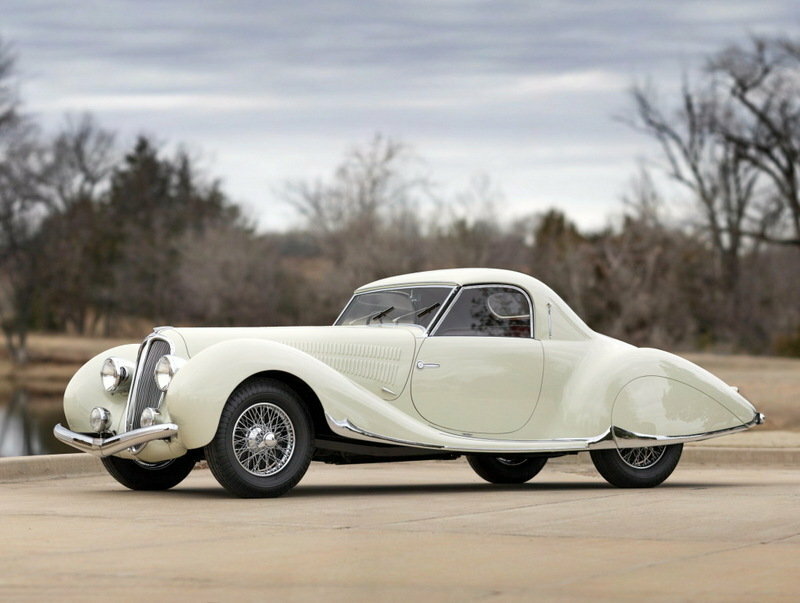 The Type 57 is to Bugatti what the 250 is to Ferrari. It was built in a variety of different configurations with a variety of different bodies for both the road and the race track. 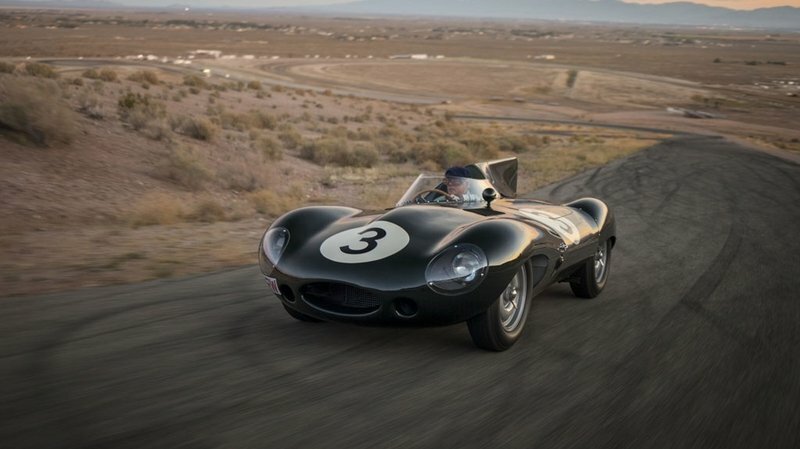 And like the 250, certain versions of the car are among the most valuable cars of all time. The Atlantic body style is certainly the most valuable, but the only slightly less well-known Atalante comes in second. It was designed by Ettore Bugatti’s son Jean and is named after the heroine of Greek mythology’s Atlanta. This particular Atalante passed through a number of different hands before being bought by John Wendell Strauss, grandson to R.H. Macy and heir to the Macy’s fortune. Unfortunately, Strauss parked the Atalante in a garage in 1962 and there it sat for decades until it was discovered in 2007 when the estate was being settled. There are some photos of the car in the barn here, and as you can see, it really wasn’t in such bad shape, considering how long it had been sitting. When it was sent to be restored, it was discovered that everything was still there and all of the numbers still matched — making this one of the most original prewar Bugattis in existence. 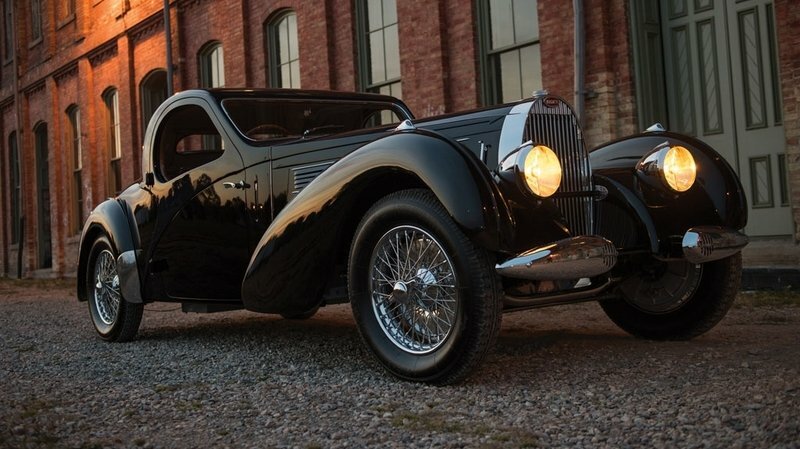 Continue reading to learn more about the 1938 Bugatti Type 57C Atalante. Siata isn’t a company that a whole lot of people have heard of, but this is really pretty understandable, as it was really more of a tuner than car maker. It got its start making specialized parts for Fiat in 1926, but after WWII it would produce a few of its own models in very limited quantities. 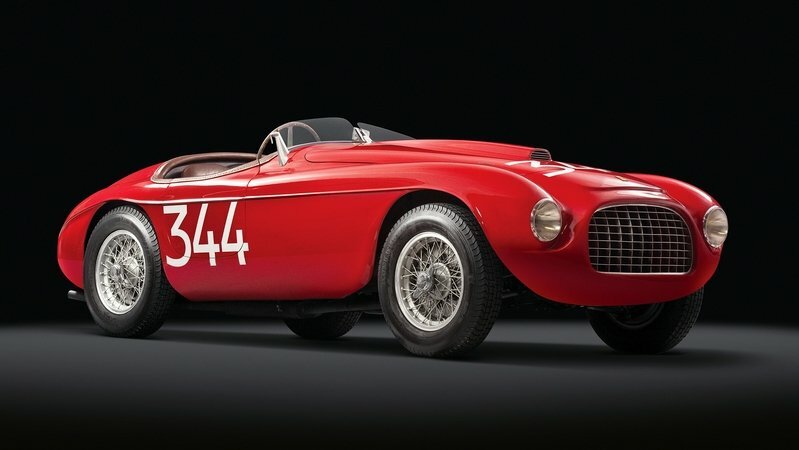 These cars won a lot of races right from the start, but in 1953, Siata was able to build something really special. That car was the 208S, which was available as both a hardtop and as a convertible. The car was a very small and light two seater with a V-8 engine supplied by Fiat. The car could be said to be something of a trendsetter, as the idea of putting a bigger, more powerful engine into a smaller car for the purposes of going fast was still weirdly in its infancy at this point. The 208S predates the Shelby Cobra by 9 years and the muscle car craze by even more than that. But it would prove to be the last dedicated model produced entirely by Siata up until the firm went bankrupt in 1970. Production was extremely limited, but Steve McQueen still managed to buy himself one. 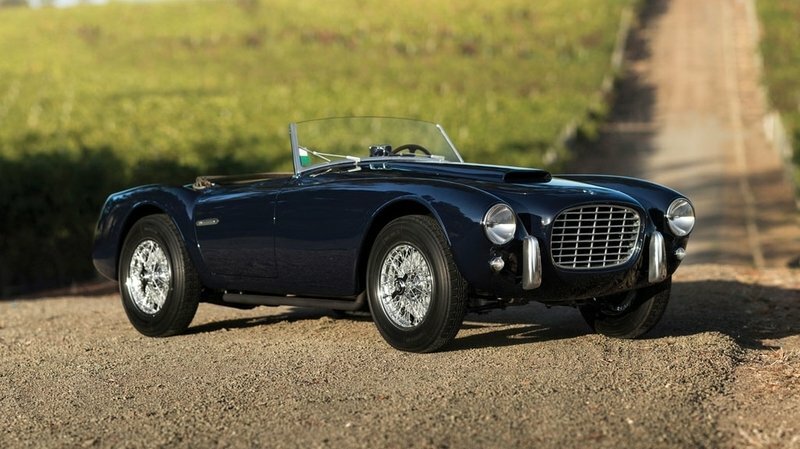 Continue reading to learn more about the Siata 208S Spider. The the world of classic Aston Martins, the DB4 and DB5 command much higher prices than the models that came immediately before and after them. 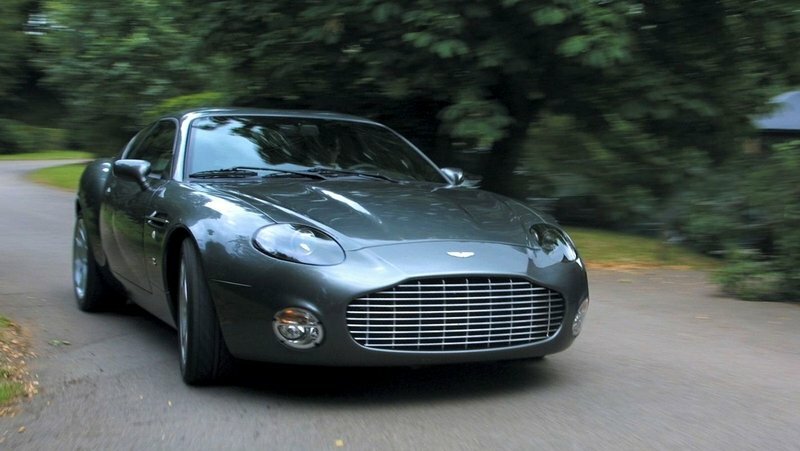 But, there is one variant of these that stands high above the rest, making it what is generally considered to be the most desirable and most expensive of all classic Aston Martins. That car is the DB4 GT Zagato, a factory race car built to challenge the dominance of the Ferrari 250 GT cars in sports car racing. 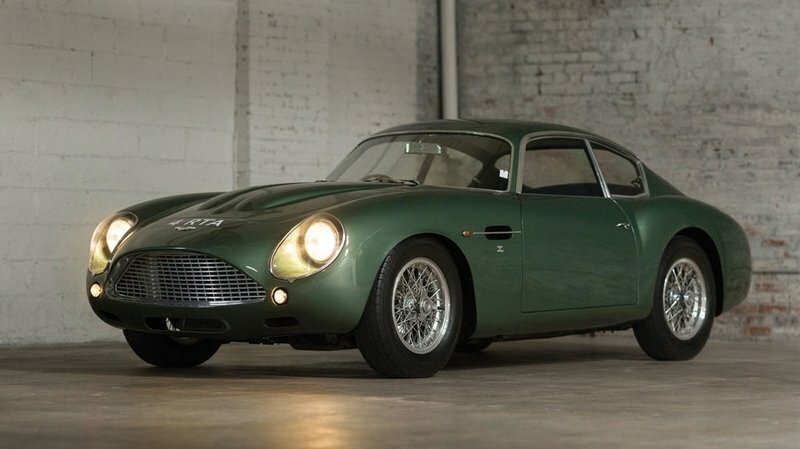 Debuting in 1960, the DB4 GT Zagato wasn’t a sales success, even with the very modest goals set by Aston Martin, but today that just makes it more valuable. The car was built using the very best of Aston Martin’s racing technology, and then it was lightened and made even more shapely by Zagato. Unfortunately, this combination didn’t win quite as many races as Aston would have liked, but it did make for an absolutely beautiful car — even in the context of the gorgeous cars being produced by Zagato during the ’60s. It might not have the association with James Bond that the DB5 has, but for serious car collectors, the DB4 GT Zagato is as good as classic Astons get. Continue reading to learn more about the 1962 Aston Martin DB4GT By Zagato. Chinese car companies still have a pretty limited stake in any market outside of China itself. The reasons why could make up an entire article on their own, but Chinese auto manufacturers have been trying to increase their presence in other markets — partly by teaming up with foreign companies. 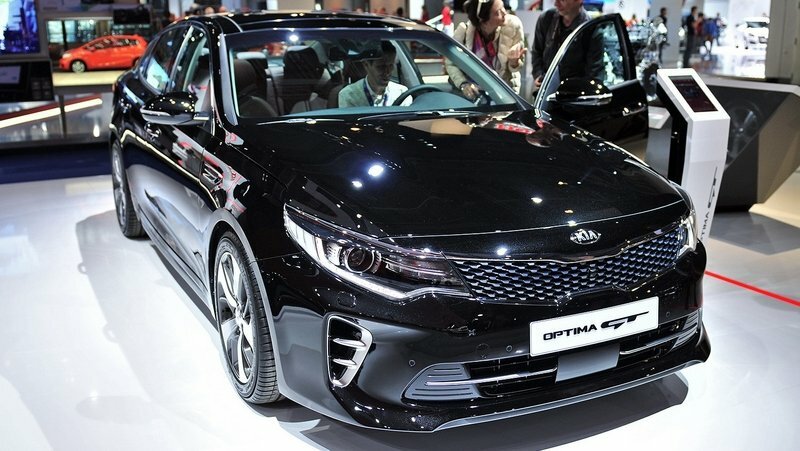 This is why Chery Automobiles teamed up with Kenon Holdings of Singapore to form a new company called Qoros with an eye to sell cars all over the world. That was in 2007, and since then the company has debuted its first model, the 3, at the Geneva Motor Show. The follow up to the Qoros 3 is the Qoros 5, a new flagship model for the brand that is also being shown to the world first in Europe. But, the 5 is being shown at the Milan Expo and not an actual car show, with its actual car show debut coming later at the Guangzhou show. That all suggests that Qoros is playing it a bit safe with the 5. It’s not unusual for such a new company, but showing the 5 in Europe and putting out a press release in English, is a big step that a lot of other, larger Chinese firms don’t bother with yet. 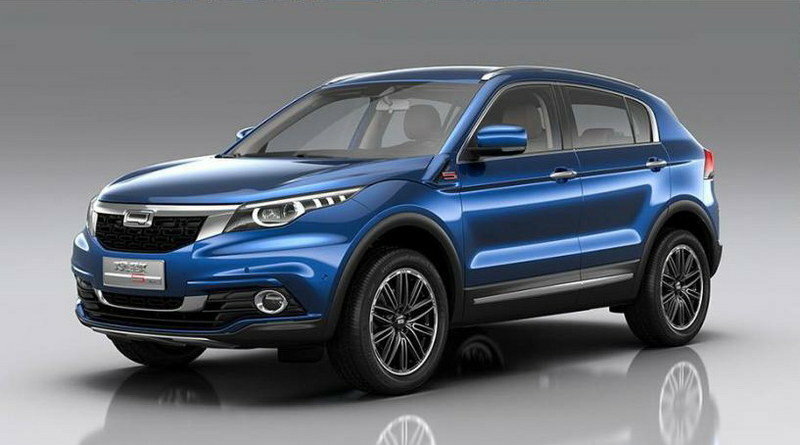 Continue reading to learn more about the 2016 Qoros 5. 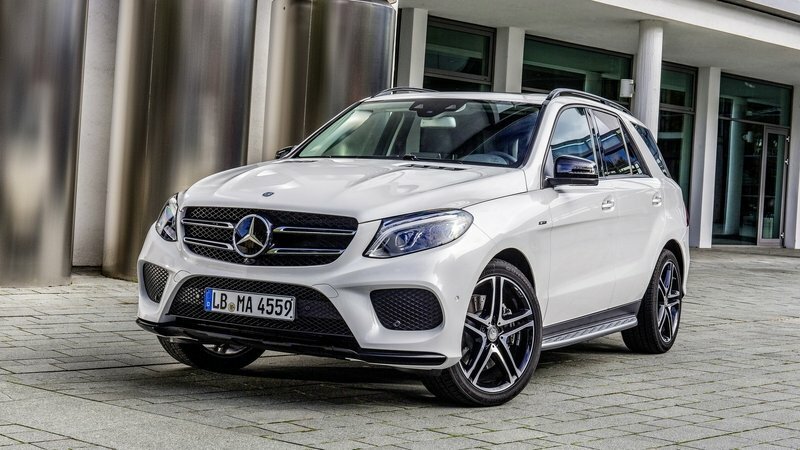 For anyone who might have been confused that Mercedes-Benz decided to build a GLE 450 AMG Coupe but skipped over the regular GLE, here is the answer to your question. The third in the line of 450-badged AMG products, the GLE 450 AMG offers an alternative to those who want an AMG-ified GLE, but aren’t sold on the beast that is the 63-badged version of the GLE. This makes a good deal of business sense, as there is a fairly massive gap in prices between even more well-appointed trims of the mainstream GLE version and the lower 63 AMG trim. The new vehicle isn’t quite as extreme as its 63-badged brother, both in terms of horsepower and looks. But it does fill a hole in the lineup in that way that German automakers love to do. And since it is so closely related to the GLE 450 AMG Coupe, there is a lot less mystery about how it drives than there would be if it were an entirely new model. It’s not a sluggish car by any means, but it is less about speed than it is about having a more stylish vehicle than the standard GLE. Those who want speed have the GLE 63 AMG. Continue reading to learn more about the Mercedes-Benz GLE 450 AMG 4MATIC. The reasons to be suspicious of the new Volkswagen Passat start right in the first sentence of the press release, where it is stated that the car was “designed for the American lifestyle.” This is troubling because, for many years, the most compelling reason to buy a Passat instead of a Honda Accord was that it offered a bit of German-ness for less than the cost of an Audi. 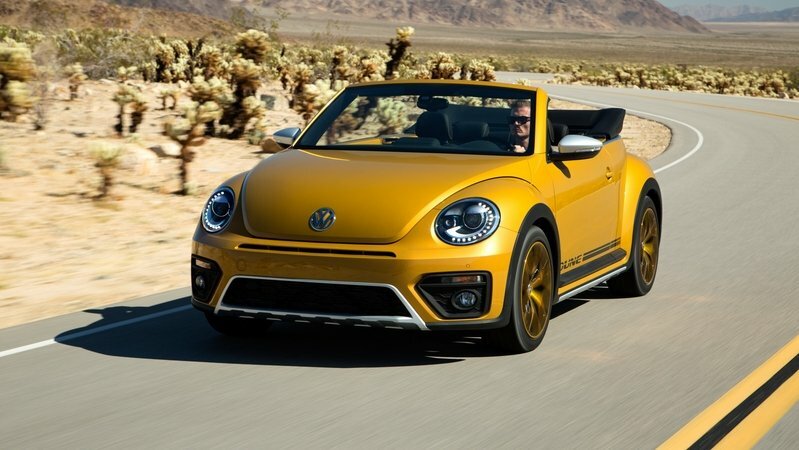 A good chunk of that went away in 2012, when VW announced a U.S.-specific version of the car that came in at a much lower price point, but at the expense of the things that had made the car special. The U.S. Passat has effectively been a different model from the one the rest of the world gets ever since then, a bit bigger and a bit cheaper. With the 2016 model, Volkswagen has made an effort to make the Passat more similar to the European B8 2015 Volkswagen Passat, which has been sold there for nearly a year at this point. This has largely been successful, and it will probably sell quite well, assuming that Volkswagen ever recovers from the Dieselgate scandal. Because as dull as it was, the previous generation of the Passat was a huge sales hit. Updated 10/19/2015: Volkswagen announced full pricing details on the 2016 Passat which will be put on sale later this fall. Prices will range from $22,440 for the base version and up to $36,835 for the V6 SEL Premium one. The model will be produced at the company’s factory in Chattanooga, Tennessee. 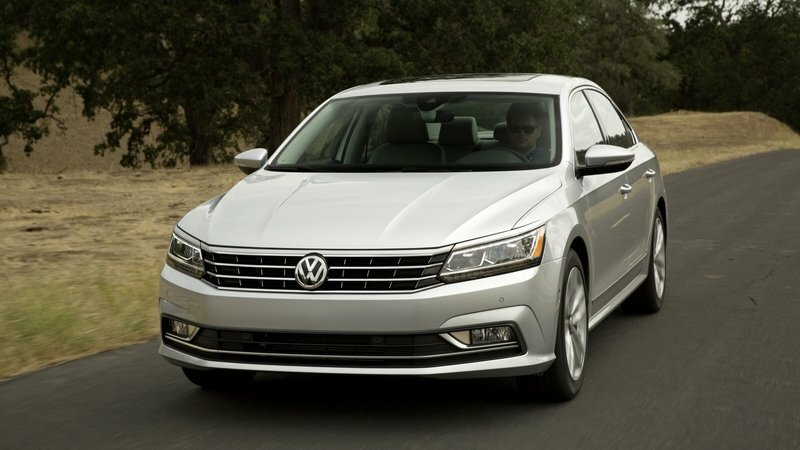 Continue reading to learn more about the 2016 Volkswagen Passat. Ferrari was still very new to the world of building road cars in the early ’50s. Enzo had been involved in racing and the design and building of race cars for decades, but translating that into something for regular people (albeit wealthy regular people) to buy was still being figured out. It was the 250 that would change things for Ferrari, but in the early days of the model line, Ferrari was still figuring things out. It was an era when coach-built luxury cars were starting to disappear, but Ferrari was determined to keep using them for the 250 line, first launched in 1953. Most 250s were built by Pininfarina, including early examples like the Europa, but a handful were built by Vignale. These early 250s differ from the later models, particularly those of the ’60s, in a number of ways, but it is most notable that at first there were only two versions of the car, the Europa and the Export, obviously intended for different markets. Many more varieties of the 250 would come later, but in 1953, the only way to get something different from the other 250s was to get a coach-built one. 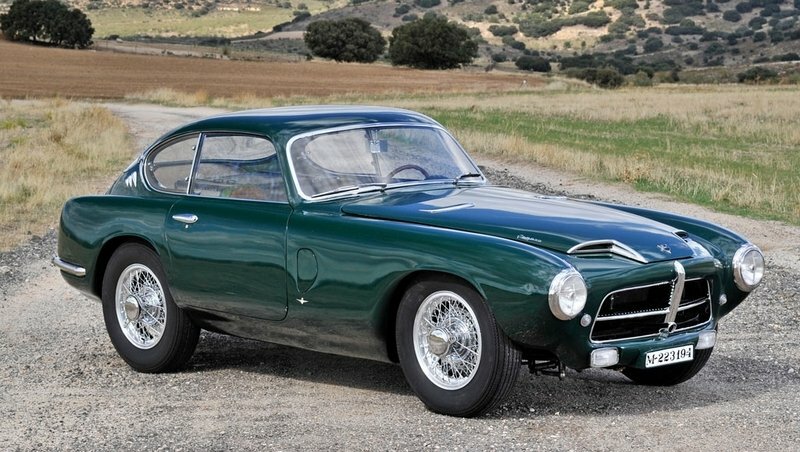 Continue reading to learn more about the 1953 Ferrari 250 Europa Coupe by Vignale. The reality of the market for hybrid cars in North America is that dedicated hybrid models tend to do significantly better than hybrids that share a body with a conventional version of the car. The idea of conspicuous conservation has been around for a long time, but in 2010 it was given the nickname “the Prius effect” in a paper by economists Sexton and Sexton. This is effectively saying that the Prius sells so well because it can’t be confused for a non-hybrid, and is therefore an effective way to communicate to those around you that you’re doing something good for the environment. This is why, when Ford wanted a hybrid to go up against the Prius, it wasn’t just a hybridized Focus, it was the dedicated hybrid C-Max. The C-Max is actually a European model that is offered with gasoline and diesel options elsewhere in the world, but Ford wisely chose to keep it as a hybrid/plug-in model (the plug-in will get its own review, we’re focusing on the hybrid here) for North America. Since it is a primarily European car, the updates that just debuted for the car actually debuted about a year ago across the pond, so we already know them to be good. 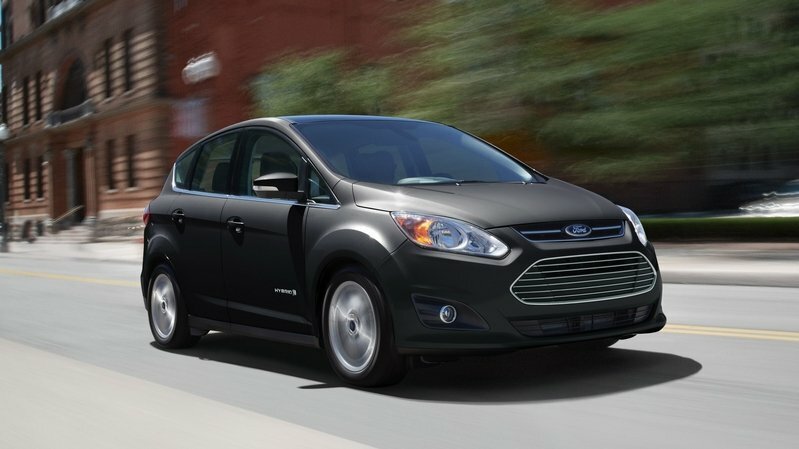 Continue reading to learn more about the Ford C-Max Hybrid. Simplicity has become an all-too-often ignored quality in cars recently. Part of this is because of safety and emissions regulations, but a consumer desire more and fancier electronic gadgetry is to blame for a lot of it as well. Even with the hoods of most modern cars open, the engines are still covered in big plastic shrouds, as if to tell you “you don’t need to concern yourself with any of this.” Well, Toyota’s latest concept, called the Kikai, has gone completely in the opposite direction. This is a car where as much of the mechanical workings are not only not hidden, but are actually on display. There are some other cars that are sort of similar to this, such as the Ariel Atom. But while the Atom is a sports car, and the simplicity is for the purposes of saving weight and going faster, the Kikai is showing off its innards just because machines are cool, and Toyota thinks we should appreciate that about them. The mechanical workings of the concept are not only exposed, but are also chromed and generally made with a great attention to detail. It might not be all that practical for picking up the kids from school, but it is oddly beautiful. 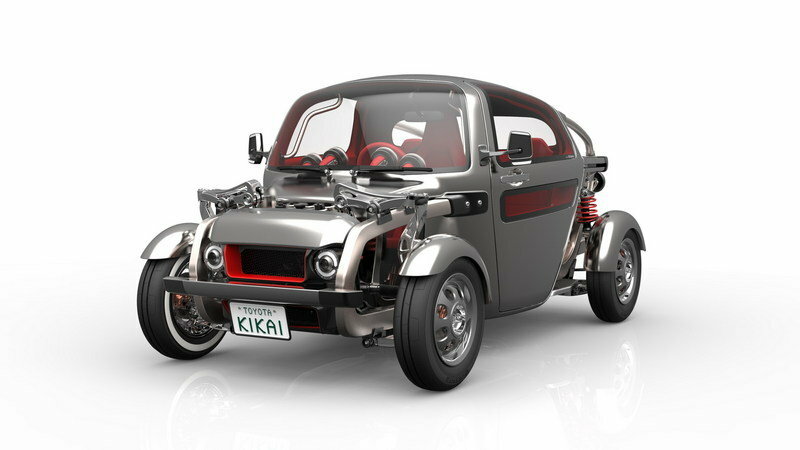 Continue reading to learn more about the Toyota Kikai. 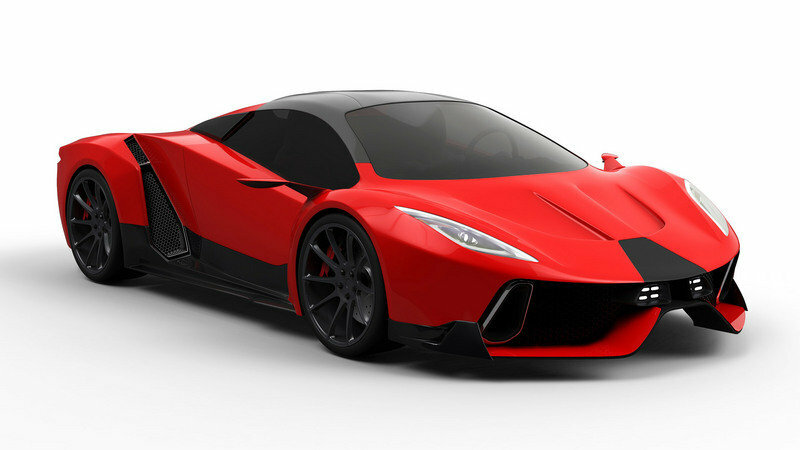 A new company out of Las Vegas, called PSC Motors, is seeking dominance against the likes of Bugatti and Koenigsegg, with a 2,400-horsepower hybrid hypercar called the SP-200. It might need a catchier name, but PSC says it will to 0-60 in 2.6 seconds and have a top speed of 280 mph. A mid-mounted, 9.0-liter, twin-turbo V-8 will feed power to the rear wheels through an eight-speed, dual-clutch transmission. PSC hasn’t specified if either of these components are built in-house or sourced from elsewhere, but we aren’t aware of many companies building 9.0-liter V8s. The massive V-8 will be supplemented by a hybrid system on the rear-axle, which will also provide an electric-only range of 60 miles. Going from these renders, the SP-200 will have sleek, well-proportioned shape. At 14.4 feet long and 6.5 feet wide, the SP-200 won’t exactly be compact, but carbon fiber and aluminum will be used throughout to keep weight under 3,100 pounds. Production starts sometime in 2016 and will be limited to just 35 units. Neiman Marcus has been offering special edition cars around the holidays for decades. Most of these have just been appearance packages, although many of them have also had the interiors redone in special high-end materials. As older models have been shown to be collector’s items, more recent Neiman Marcus Edition cars have sold out quickly, often within minutes, as the annual collector’s feeding frenzy begins. And while a special paint color is all that most of these cars need to be worth a lot of extra money, this year’s car offers a bit of extra incentive, in the form of being an absolute beast. Different carmakers work with Neiman Marcus to different degrees, but Ford certainly went all in on this year’s Mustang. The car gets a boatload of extra power, a unique chassis and suspension tune, unique exhaust, special wheels... it’s practically a new car. It also comes with a free two-day course at Ford Racing School, probably a good idea, since a lot of people won’t be able to control a car like this without a bit of instruction. And even with the school, this car is going to be a lot to handle. 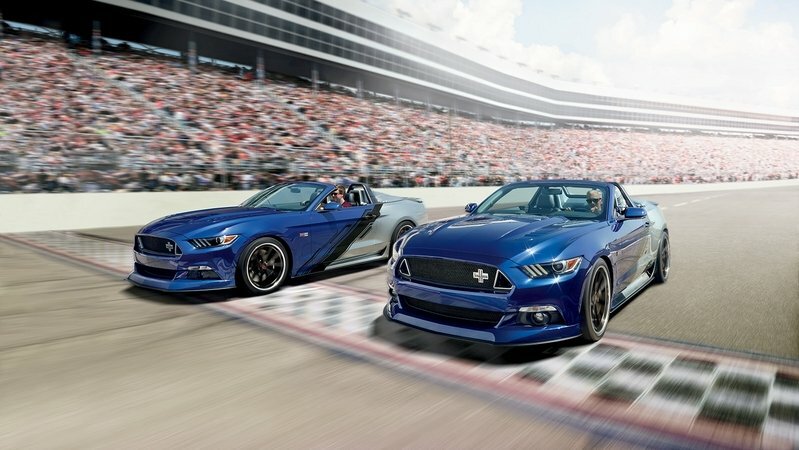 Continue reading to learn more about the Ford Mustang Convertible Neiman Marcus Limited-Edition. It might not be immediately obvious, but what you are looking at here is a preview of the next generation of the Subaru Legacy. The current generation of the Legacy is still pretty new, but that just means that Subaru has a lot of time to play around with wacky concepts in order to gauge the public response to various aspects of the design. This concept is called the Viziv Future Concept, and it will be officially debuted at the Tokyo Motor Show. The concept is semi-autonomous, has two fewer doors than the production version of the Legacy and features a wacky sci-fi interior, but there is some very clear evolution of current Subaru ideas in this car. The name Viziv is said to be a shortening of “vision for innovation”, and is therefore pretty standard concept fare. Also pretty standard for a concept is the bikes that the concept is carrying, a car show trope that signals a car for active/young people to use for active and young things. Subaru can at least be commended for choosing bikes that match the car so well. And the truth is that the Legacy is good for those sorts of things and this future one probably would be too. First introduced in 2014, the fourth-generation Subaru Forester is still pretty new. 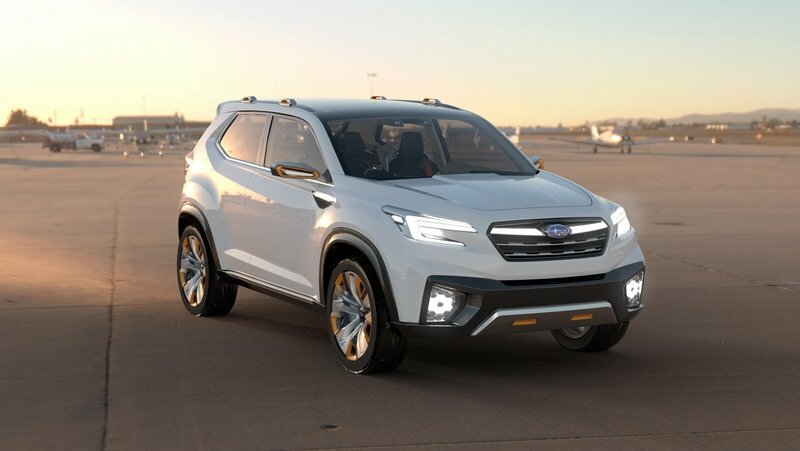 But Subaru is already looking to the future with a facelifted version slated for the Tokyo Motor Show. It might seem as though the automaker is rushing things a bit, but initially, the facelifted crossover will only be available in Japan, and the updates probably won’t reach the U.S. any earlier than the 2017 model year. At that point, the timing will be a bit closer to the norm, but the truth is, the Forester doesn’t really need help in the U.S. market. The model has experienced a sales boom in the past few years, and it’s still on an upward trajectory. The updates aren’t extensive, but it’s entirely possible there will be a few more thrown in by the time the new model reaches our shores. The mechanical updates are subtle enough that it’s possible customers won’t even notice. However, Subaru does claim improved fuel efficiency for the naturally aspirated models. The downside is that the update doesn’t include an option for something other than a CVT for turbocharged models. 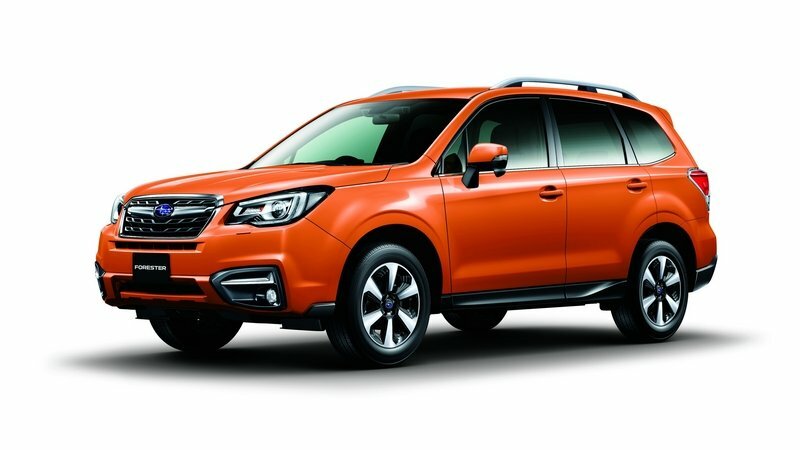 Continue reading to learn more about the 2017 Subaru Forester. Minivans are not often thought of as being particularly cool. The result has been a decline in sales as the many image-conscious parents out there flock to crossovers instead. As a result, minivan concept vehicles are often completely bonkers, as carmakers clearly hope that going so far in the other direction will inspire buyers to reconsider the segment. 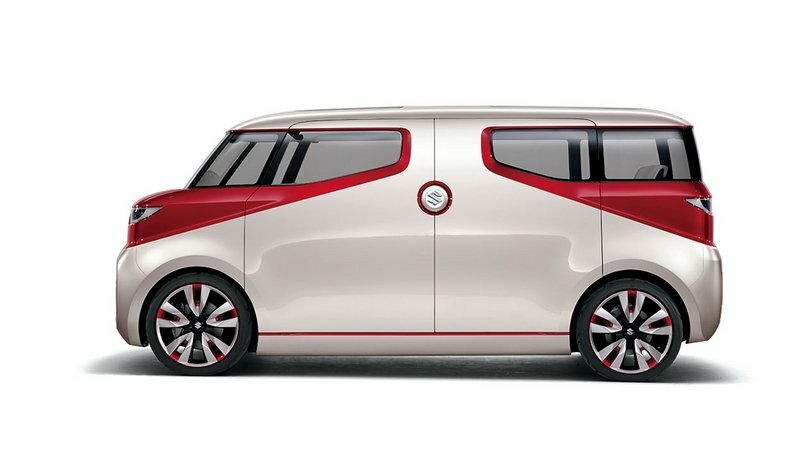 It never really seems to work but it’s hugely entertaining to watch, and the new Air Triser concept from Suzuki exemplifies everything that makes wacky minivan concepts so great. The concept is being unveiled at the Tokyo Motor Show, as a part of the “Suzuki Next 100” theme for the carmaker’s booth. Since Suzuki’s 100th anniversary is coming up in 2020, it is using this opportunity to show off a bit of what is said to make up the lineup for the outset of the next 100 years. The concepts are therefore wild and futuristic, although they are simultaneously retro in their design. This is seen especially in the front fascia of the Air Triser. 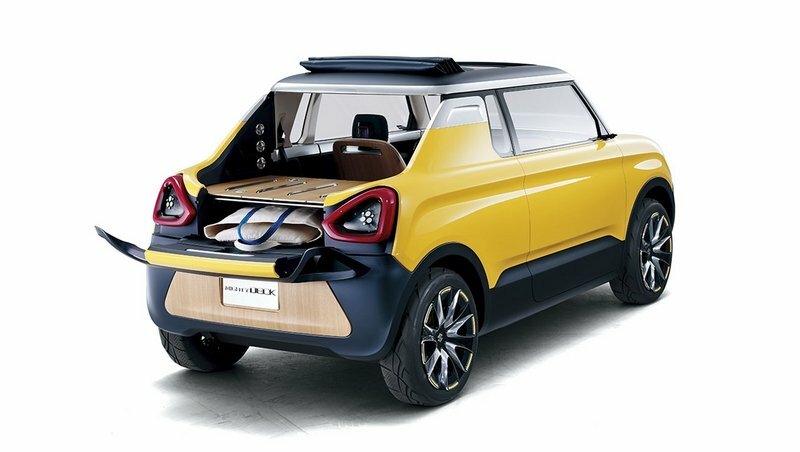 But unlike the Mighty Deck concept, which is clearly just an updated version of the Mighty Boy kei car, the Air Triser isn’t made to look like anything specific from Suzuki’s past. Continue reading to learn more about the Suzuki Air Traiser. The Tokyo Motor Show is one of the more entertaining in the automotive world. The show concentrates primarily on the Japanese domestic market, so although the cars shown there might not be especially relevant to the rest of the world, they are a great way to see something different from the kinds of concepts that we’ll be seeing, say, at the Detroit Auto Show. We also get to see some cars from manufacturers that sell cars in North America, of which Suzuki is now one. The carmaker will be celebrating its 100th anniversary in 2020, and it brought a handful of concepts to the Tokyo show what is planned for the next 100 years. One of these is the Mighty Deck concept, a utilitarian supermini named for its useful, if quite small, rear deck. The name and design of the car are heavily influenced by the old Suzuki Mighty Boy, a hilariously named kei car built from 1983 to 1988. The design was updated, and a substantial amount of wood was added inside and out, but it is obvious where the idea came from. The Mighty Boy was never a huge success, hence the short production life, but there was a charm to it, and in turn to the new Mighty Deck. Continue reading to learn more about the Suzuki Mighty Deck Concept. When the announcement was first made back in 2001 that the Lancer would be sold in North America, it was greeted with cheers from enthusiasts for upwards of 30 seconds before they learned that there were no immediate plans to bring over the EVO. We do have the EVO now, but the regular mainstream version of the Lancer never did catch on with enthusiasts. In fact it didn’t really catch on with anyone, and Honda has averaged about 10 Civics sold in North America for every Lancer sold here since it was first introduced in 2001 for the 2002 model year. Mitsubishi has now brought out a facelifted version of the current generation to try to win back some customers and undo the sales side that the model has been in for about a decade at this point. The facelift has more riding on it that just sales though, Mitsubishi has been said to be debating whether or not to kill off the model altogether, and the success of the model over the next couple of years will no doubt determine its fate once and for all. These kinds of moves do sometimes work, but the Lancer has a long way to go to be a serious competitor in its segment. 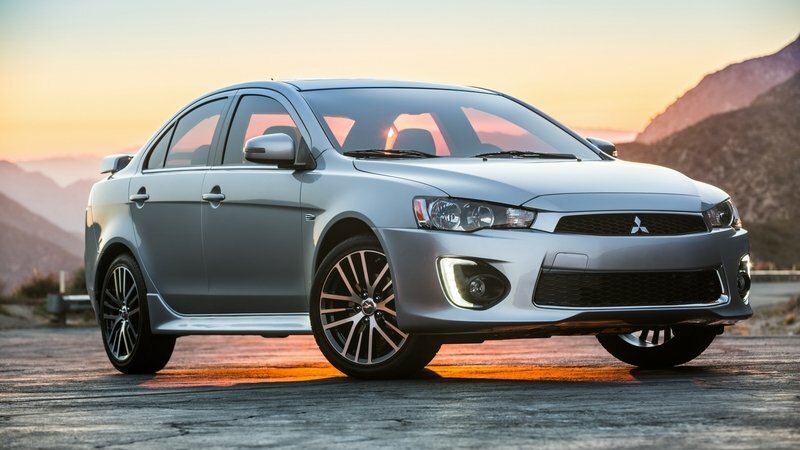 Continue reading to learn more about the 2016 Mitsubishi Lancer. Small SUVs are all the rage in Europe, a relatively new segment that is best typified for Americans by the Nissan Juke. For the European market, many manufacturers have found that the best and easiest way to compete in this segment is just to take an existing successful hatchback and make it taller. This has worked especially well for French manufacturers, but that shouldn’t come as a surprise, as the French have ruled the European hatchback market for years. And at the top of the segment is the Renault Captur, a taller version of the Clio, which holds a staggering 32.2 percent of the European B-segment SUV market. So to celebrate the car’s dominance, Renault has made a special edition, known as the Hypnotic. It is what a special edition should be in this segment – a unique appearance package and a savings on equipment by more being offered as standard. Things like a bit more power are always great to see, but it would cost a lot more that way, and it isn’t really what would sell cars in this segment anyway. The special touches are well executed, but then it was a well executed vehicle to begin with. 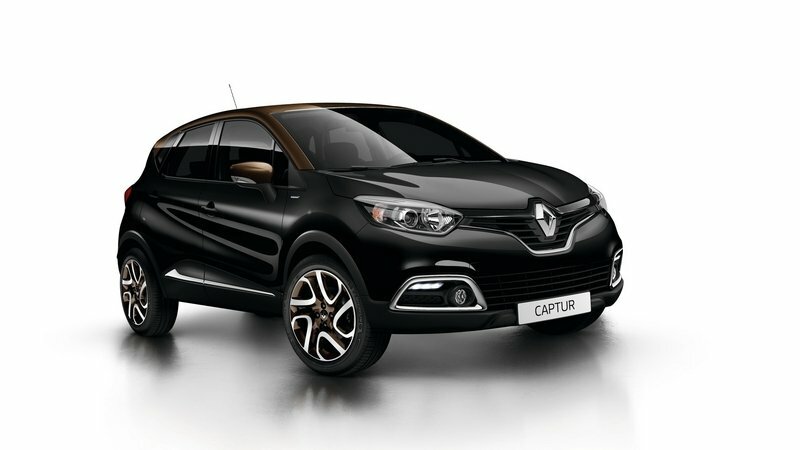 Continue reading to learn more about the Renault Captur Hypnotic Limited-Edition. You might not have started thinking about this year’s SEMA show quite yet, but you can bet that the folks at ARK Performance have been. The tuner has taken a new car to the show every year for the past six years, and has now built a seventh for this year’s show. Last year’s car was the AR550 Genesis Sedan, a thoroughly reworked version of the Hyundai that produced a good deal more horsepower and sported a much more tuner-ish look. This year, ARK stuck with the Genesis nameplate but switched to the coupe version of the car. This also meant a switch from the 5.0-liter V-8 to the 3.8-liter V-6, thus enabling ARK to show off a different range of customization. So far, we only have a rendering of what the car will look like once it’s officially unveiled at SEMA, but it’s much better than the sketches we sometimes get as previews. The detailed sketch makes it pretty clear what at least the outside will look like. We also got a good deal of tech specs, so the reveal won’t be too big of a surprise. ARK is working with Hyundai on this project, so the reveal will be part of Hyundai’s SEMA press conference. Updated 11/04/2015: Hyundai unveiled the Genesis Coupe Solus By ARK Performance in Las Vegas at the 2015 SEMA Show. 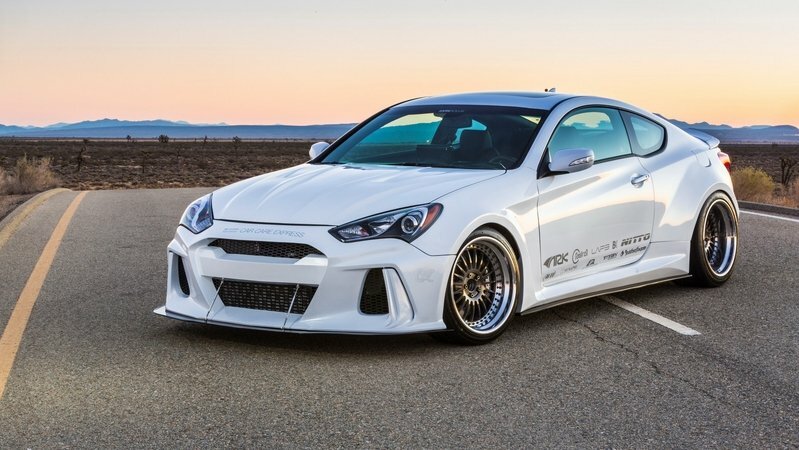 Continue reading to learn more about the Hyundai Genesis Coupe Solus By ARK Performance. Holden has always been an interesting part of GM. Unlike Opel, GM’s European division, Holden cars tend to share a lot with American cars, they’re just set up in a different and presumably more Australian way. Evidence of this similarity can be seen in how many Holdens have come to America wearing different badges. Even the Holden Commodore has come over as the Pontiac G8, Pontiac GTO, the current cop-only Caprice and the Chevy SS. Even the fifth-generation Camaro has a platform originally developed for the Commodore. So Holden’s announcement that local production would shut down after 2017 as GM moves to a more global approach to making cars, represents a real loss. So this latest facelift of the Holden Commodore will be its last, and Holden even threw it a party in order to send it off in style. Thirty examples of the car, dating back to 1978, were gathered in Port Melbourne to announce the debut of the VFII. 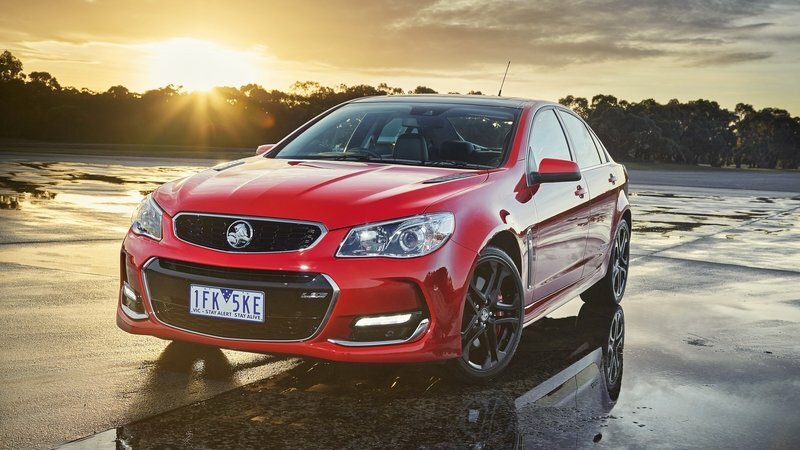 As the name implies, the VFII is not a separate generation from the VF (Holden gives each generation a letter designation), but rather a refreshed version to keep the car from going stale during the last couple of years of its life. It looks great too, making it all the more unfortunate that it’s going away. Continue reading to learn more about the Holden Commodore VFII. Peugeot has an impressively diverse history when it comes to motorsports. The company has participated in rallying, hill climbs, endurance racing, touring car racing, and supplied engines for Formula 1. Peugeot can lay claim to 4 WRC championships, 3 Le Mans wins, and 4 Dakar Rally wins. 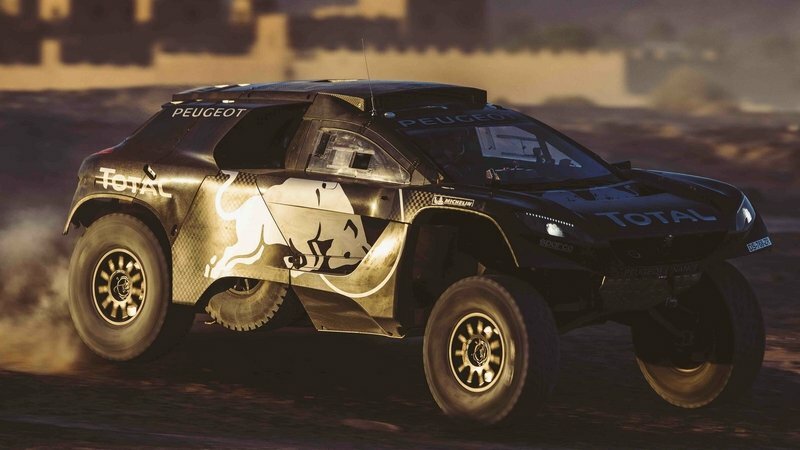 That’s quite the list already, but it seems that Peugeot would like to increase that last number, and has a car ready to compete in the 2016 Dakar Rally. That car is the 2008 DKR16, and despite its name, it has almost nothing in common with the regular road-going 2013 Peugeot 2008 crossover. However, it is based on last year’s Dakar machine, the 2014 2008 DKR. This obviously isn’t uncommon though, and the 2015 Mini All 4 Racing that currently dominates the rally has little in common with Mini’s road cars either. It’s a shame though, because back when Peugeot first started winning Dakar Rallies, the 205 T16 cars that were used were much more closely related to something you could find at a dealership, even if it was a homologation special. But Dakar is a grueling event, and if a company with a strong history in both rallying and endurance racing thinks that this is the vehicle it needs to win, then it’s probably right. Continue reading to learn more about the 2016 Peugeot 2008 DKR16. The Dutch are absolutely crazy about Teslas. Not only is the country home to Tesla’s first European manufacturing facility, but last year, the Amsterdam airport bought a whole fleet of Model S taxis – 167 of them, to be exact. Now, Tesla has just further expanded its presence in the Netherlands by opening a second factory in Tilburg. This city was already home to the first factory, but now there is a second. This new plant will employ 180 workers and will add 50,000 square meters to the manufacturing space that Tesla has in Europe. While the Dutch do seem to love Tesla, this love wasn’t the reason for choosing Tilburg by itself. The small city is centrally located and a crossroads of sorts for both highways and rails. 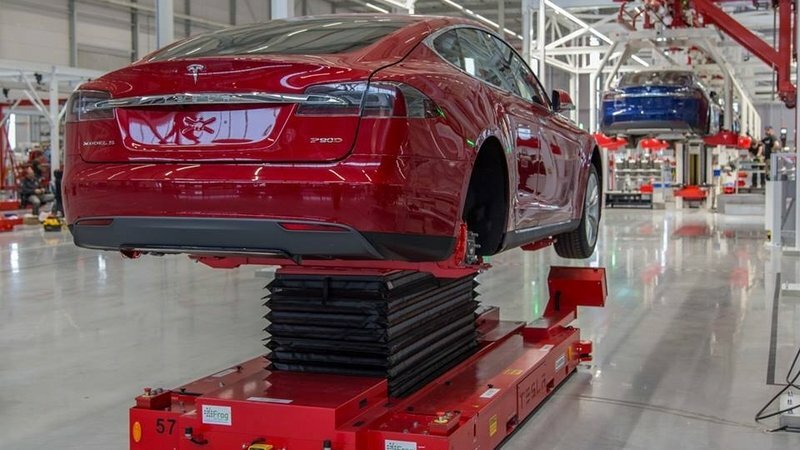 Tesla says that it can have a shipment of cars or parts to anywhere in Europe within 12 hours. And since the Tilburg plants are only for final assembly, the proximity to the Rotterdam port is also an important factor, as ships will be bringing in parts from the U.S. The Dutch government has also been making some serious efforts to improve its green image, and there were no doubt some tax breaks involved in the decision to build in Tilburg. in its own category altogether. It’s barely even a motorsport, more of a daredevil stunt but with a lot more participants. If you’re unfamiliar with this particular brand of wheeled lunacy, it’s actually just exactly what the name implies, a race on a figure 8-shaped track, with cars crossing right in front of one another in the center. This isn’t an endurance race in the way that Le Mans is an endurance race, this kind of racing is so prone to accidents that it’s unlikely any cars would be there at the end of 24 hours. 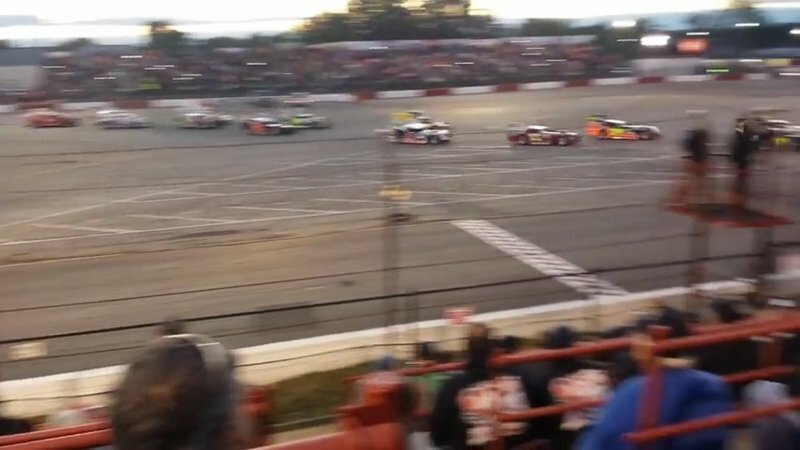 So the world championship of this sort of thing, seen here at the Indianapolis Speedrome, is only three hours long, although that is plenty for figure 8 racing. For a gearhead, I have always had an almost shamefully difficult time naming a favorite car whenever I’m asked. I have different favorites for different categories of cars, but an overall winner remains elusive. How do you choose between a ’71 Plymouth Hemi ’Cuda and a Type 997 2011 Porsche 911 GT2 RS? I’ve never been able to. 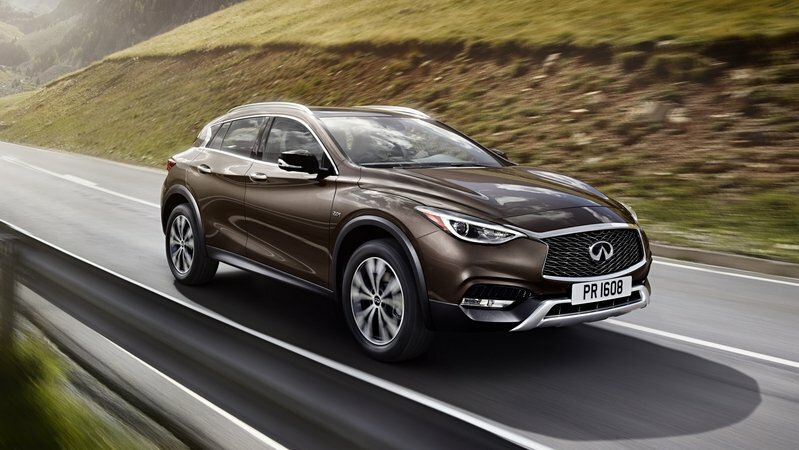 So when it came to picking my favorites of the Frankfurt Auto Show, I agonized over the list for a long time, changing it several times before settling on the cars you’ll see here. So even if you don’t agree with the cars I’ve chosen, you should know that the decision was not taken lightly. You might notice that I’ve left off some really spectacular cars, such as the 2016 Ferrari 488 Spider, the 2016 Lamborghini Huracan Spyder or the 2016 Rolls-Royce Dawn. The reasoning behind this was just that I wanted to talk about new models and all of these are just roofless versions of existing cars. Audi’s new armored 2016 Audi A8L Security and BMW’s plug-in 2016 BMW 7 Series aren’t on the list either and for more or less the same reason. 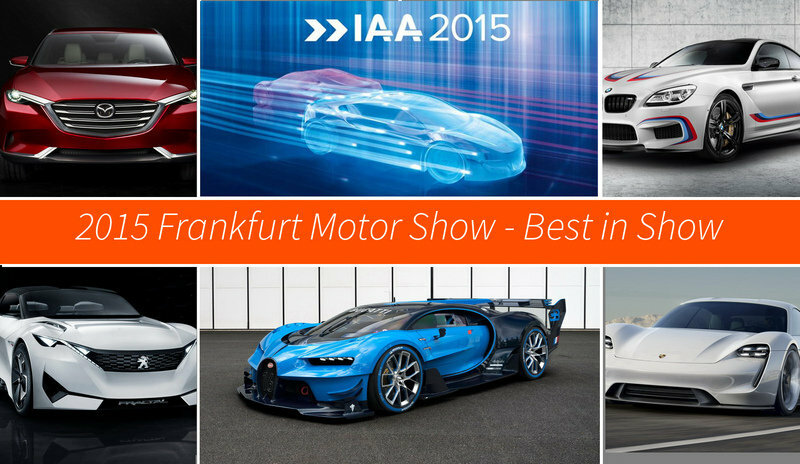 Updated 09/24/2015: We’ve added a series of new photos we took at the 2015 Frankfurt Motor Show. Find them in the "Pictures" tab. It could be said that Renault invented the hot hatch. The Renault 5 Alpine did debut a few months before the Volkswagen Golf GTI, and even if VW’s offering is currently more popular worldwide, Renault has always offered some strong contenders for the European market. The latest, which was just unveiled at the Frankfurt Auto Show, is the Megane GT. It’s not the fire breathing monster that Renault’s RS hatchbacks are, but it is closely related while making some compromises in the name of practicality and usability, not to mention price. Renault’s hot hatches have only at times directly competed with VW’s, usually being just different enough from the GTI that it wouldn’t be too diffiuclt a decision to pick one over the other. 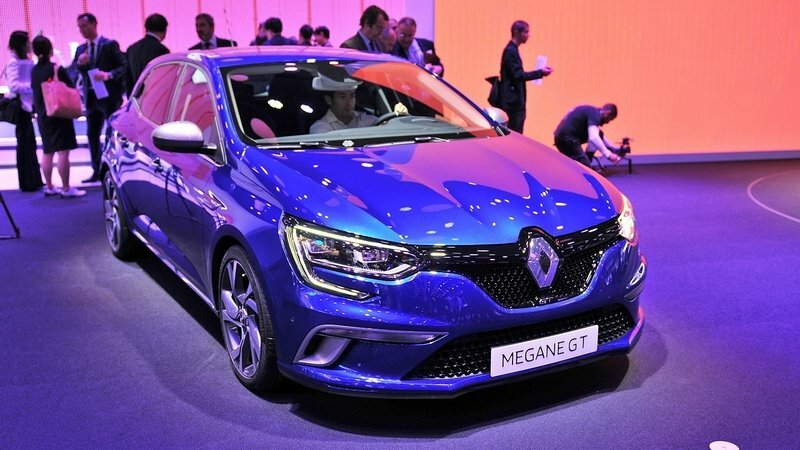 That is very much not the case with the new Megane GT, which is aimed squarely at the 2015 Volkswagen Golf GTI, and indeed the whole Megane line is of late more of a direct competitor to VW. Renault has always done hatchbacks extremely well, but it’s difficult to ignore the fact that VW has a big share of the hatchback market, especially the hot hatch market, and Renault seems to be gunning to take that away. Updated 09/23/2015: We’ve added a series of new photos we took at the 2015 Frankfurt Motor Show. Find them in the "Pictures" tab. Continue reading to learn more about the Renault Mégane GT. In the late ’60s and early ’70s, the Japanese sports car market was still in its infancy. A number of sports models had been sold in Japan, including some supremely excellent ones like the 1967-1970 Toyota 2000GT, but Japan was still mostly known to the rest of the world for its small economy cars. But two cars would come along that would usher in an era of Japanese sport compacts that would raise the status of the entire country’s automotive industry. 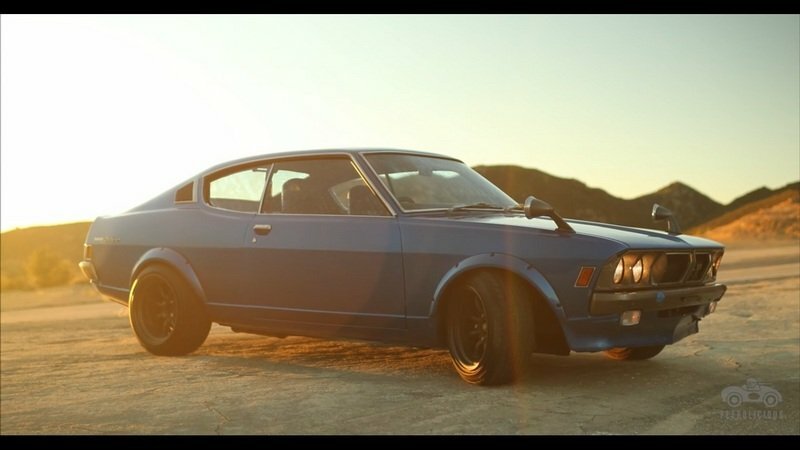 The first of these was the 1969-1978 Datsun 240Z in 1969, followed just a couple of years later by the Toyota Celica, in 1971. The accompanying video for this article shows Jay Leno talking to a Toyota representative about the car. He calls the Celica Toyota’s first sports car, which isn’t strictly true. Both the Sports 800 and the 2000GT predate the Celica, but the Celica was the first mass-market Toyota sports car to be sold outside of Japan. The nameplate would live on until 2006, and continues on in spirit with the Scion tC. But more importantly, the Supra nameplate would get its start as a sub-model of the Celica, one of a few versions of the Celica that could hold its own against much more expensive sports cars with much bigger engines. 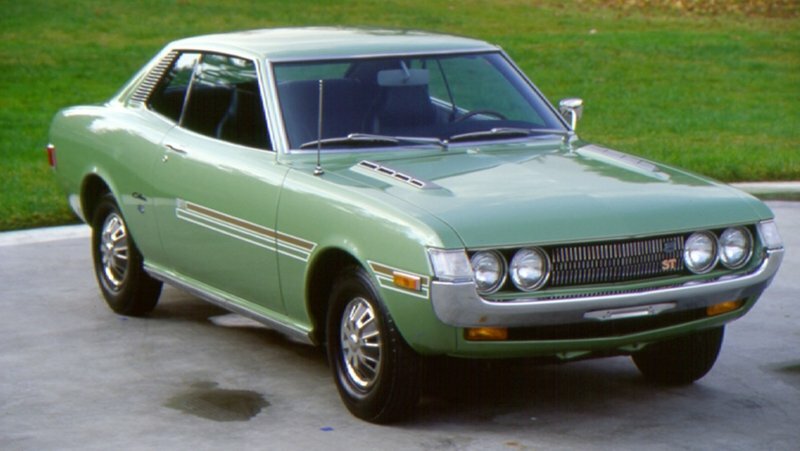 Continue reading to learn more about the 1970–1977 Toyota Celica. The 2016 Mercedes-Benz GLE Coupe hasn’t been the best-received of vehicles. It’s another of those vehicles that tries so hard to fit into so many different niches that it doesn’t get any of them quite right. 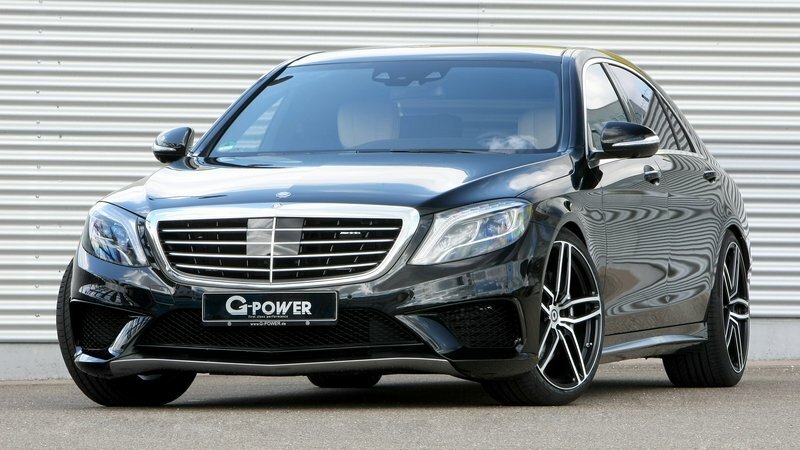 But Brabus knows that people will be willing to overlook a lot in the name of insane amounts of power, and if anyone can crank that kind of power out of the GLE Coupe, it is definitely Brabus. The new creation is given the name 850, the same as several other Brabus creations that are based off of 63-badged Mercedes products. What makes the GLE Coupe 850 different from the other Brabus 850 products is that the base vehicle isn’t an AMG, as there is no AMG version of the GLE Coupe, at least not yet. The GLE63 S still uses the same engine as 63-badged AMG products, and it still costs nearly twice as much as the base model, but it isn’t quite as visually attention-grabbing as an AMG. So the GLE Coupe 850 might come as more of a shock than other 850 models. And yet, for all of the shocking craziness of the exterior, it is a surprisingly refined and civilized cabin. 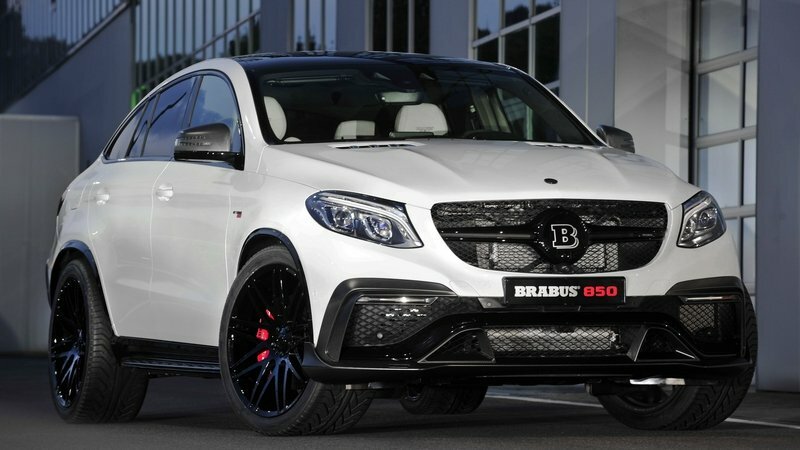 Continue reading to learn more about the Mercedes GLE Coupe 850 By Brabus. With the one very notable exception of Porsche, big German carmakers don’t make a lot of sports cars. They certainly make plenty of fast cars, but that’s not the same as a ground-up sports car, something the Americans and Japanese have never been shy about building, even when they weren’t very fast. So when a big German company makes a sports car, it’s worth taking a close look at, and then maybe taking a second look at. This is one of those things that is great about XCAR, the reviews usually aren’t the first ones to hit the internet, but they’ve taken the time to think of some points that perhaps the other reviewers left out. So while Mercedes-Benz advertised the 2016 Mercedes-AMG GT as a 911 fighter, XCAR will tell you that might not be the best way to think of it. The cars are built to do different things, and there is plenty of room in the world for both. That said, it would be difficult to watch this video without coming away feeling that the GT’s take on what a sports car should sound like, at least, is vastly superior. Not many cars have ever sounded better. Crossovers are already, as the name implies, a vehicle type that is wedged in between two other types of vehicles. But Citroen has taken it upon itself to further confuse the whole classification system with the Crossback, an even more car-like sort of crossover. The 2011 Citron DS4 is already a fashion statement for Citroen, essentially a 2015 Citroen C4 with a more daring look to it, and now it seems that Citroen has added the option of getting a slightly taller one. 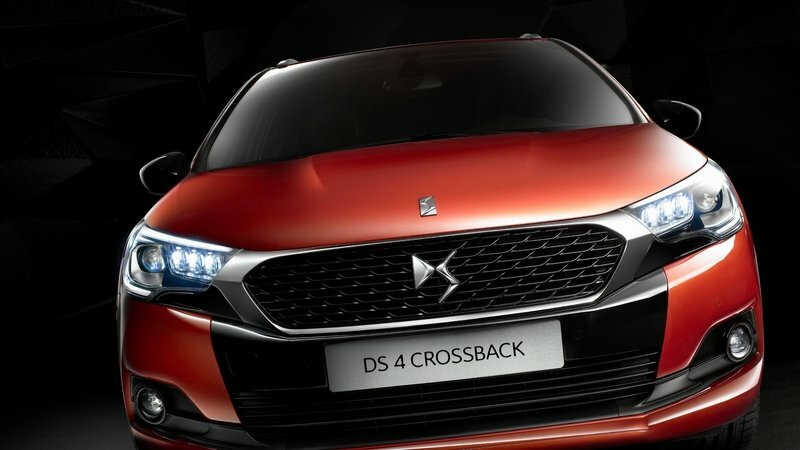 The Crossback doesn’t replace the DS4, even though they are very similar. Citroen has a whole line of DS sub-models, with the DS4 being the mid-range model in the lineup. This is likely why it has gotten the new Crossback option; Citroen wouldn’t want you to overlook its middle child. The range takes its name from the wonderful original DS, one of the most iconic cars of all time, that was produced from 1955 to 1975. The DS was unlike anything else in the automotive world at the time, and an incredibly bold styling statement. This is Citroen’s way of making sure that you know these cars are special, hence the much higher prices on DS models. Continue reading to learn more about the Citroen DS 4 Crossback. To have a love of classic Japanese cars is a little different from having an appreciation for old cars from other places. A lot of really cool cars never made it out of Japan during their production cycles, and most haven’t become valuable enough to be as well-known as some rare Italian cars. No, if you want a boxy car with mirrors way out on the fenders, you’re going to have to work for it. This video tells the story of a man who really had to work for his Mitsubishi/Colt Galant GTO. Matt De Mangos spent eight years restoring his Galant GTO, a right-hand-drive car that was never sold in the U.S. and that De Mangos had to import himself. It’s not a particularly well-known car, possibly not even in Japan at this point, and it has proved very difficult to work on. Things that are usually relatively simple to figure out on an old American car are a whole different story with the Galant GTO, to the point that De Mangos says he had to learn Japanese in order to finish the restoration job. And from the looks of his garage, he really committed to it. You may have heard by now that Audi has managed to make a carbon-neutral fuel out of water and carbon dioxide pulled from the air. This is all well and good, but will it work in your car? Nope, but don’t worry, Audi has a solution for that: the A4 G-Tron. The somewhat unfortunately named concept was just unveiled at the Frankfurt Auto Show, and is perhaps most remarkable for being fairly unremarkable. It is basically just a 2016 Audi A4 Avant (wagon) with a dual fuel system, and even this system isn’t too radically different from existing systems that have been in use for years. It is perhaps not even right to call this a concept, since the G-Tron won’t look any different from other A4s when it hits dealerships in about a year’s time, minus the big decals on the sides, of course. You might be thinking that a year from now is awfully soon for a car that runs on some kind of half-magical new kind of fuel for which there is basically no infrastructure yet. But the G-Tron will also run on natural gas, and regular pump gas as well, giving you more choices for fuel than you ever knew you wanted. 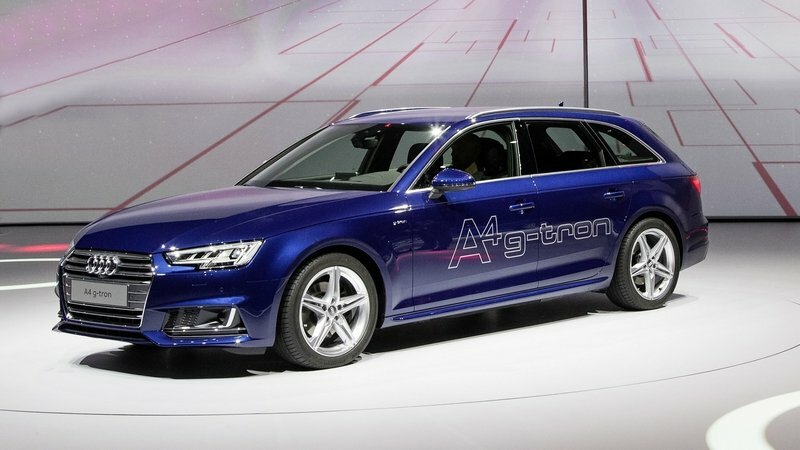 Continue reading to learn more about the Audi A4 g-tron. SsangYong is a brand that a lot of Americans might be unaware of, since it isn’t sold here and lives in the shadow of bigger Korean automakers even in the markets where it is sold. It is noteworthy for being the company that built the Rodius, the first generation of which has been argued to be ugliest production car of all time, even uglier than the Pontiac Aztek. SsangYong has avoided taking too many chances with styling since then, but a newly unveiled concept has shown that someone at the company is still thinking about how to make SsangYong cars stand out. 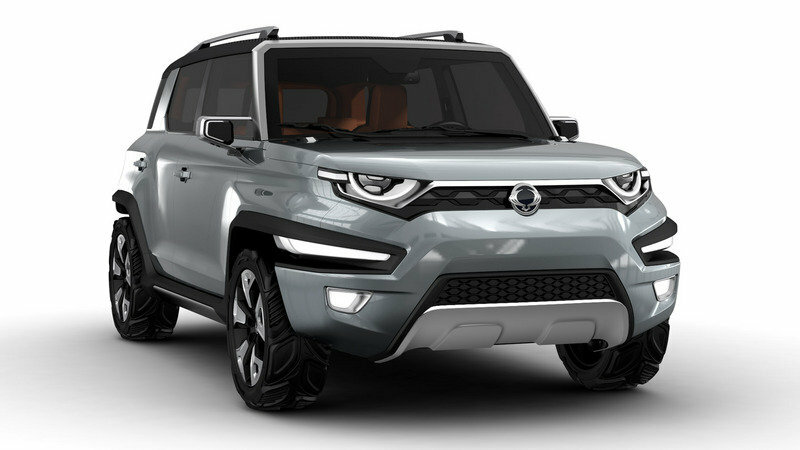 Called the XAV-Adventure, the concept is meant to be a futuristic version of the Korando crossover currently being produced. The concept is both a design study and a platform for several advanced technologies that SsangYong has yet to introduce for production vehicles. SsangYong doesn’t appear to have any plans to change the Korando into this vehicle, but the right amount of follow-up on a vehicle like this could give the perpetual underdog a bit of a boost, and a chance to compete with the relative giant that is Hyundai, even if it doesn’t make it to the U.S.
Continue reading to learn more about the SsangYong XAV-Adventure Concept. 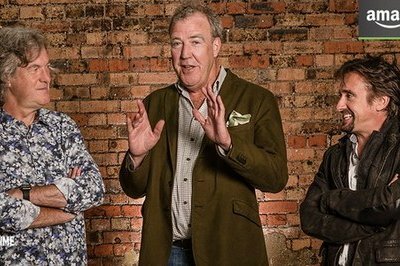 Clarkson, Hammond & May New Show Could Be Called "Gear Knobs"
This is by no means an official confirmation, but we quite possibly have just learned the name of Amazon’s new car show starring former Top Gear presenters Jeremy Clarkson, Richard Hammond and James May. That name is “Gear Knobs,” and it does seem like the kind of name that the trio (and producer Andy Wilman) would come up with for a follow-up to their Top Gear careers. The name comes from a trademark filed by the law firm that has been representing Clarkson for a number of things recently, including the investigation that followed his punching a Top Gear producer. Clarkson’s name wasn’t specifically mentioned; it wouldn’t need to be, but there are some other hints in this story. In addition to trademarking the “Gear Knobs” name (as well as “Gear Nobs”, presumably as a cautionary measure to anyone else taking it), a new company was established at the same time by the firm under the name Newincco 1361, quite similar to Clarkson’s merchandising company, Newincco 1189. Registered under that company’s name was a trademark for “Speedbird,” and whatever that is, it sounds like it’s quite possibly related. Note: Image via Jeremy Clarkson’s Twitter. When Ford decided to finally lay to rest the 2007 Ford Crown Victoria, a huge void was left in the lucrative police vehicle market. In the resulting scramble to provide cruisers to fill that void, Dodge ended up with a much bigger share of this market than it had had in some time, with the 2014 Dodge Charger Pursuit. Dodge knows that it will have to keep updating the car if it wants to keep its contracts. The 2016 Dodge Charger Pursuit is better than ever. Keen students of the automotive industry will notice that there isn’t a new generation of the Charger for 2016, so the car isn’t entirely new for the model year. Indeed, the updates for 2016 primarily focus on the redesigned Uconnect system. This is really a big thing, but we’ll get into that in a bit. It is worth a look at the car in general though, even the parts that aren’t new, if for no other reason than to see just how different and utilitarian the police version of the car is. The differences between it and the civilian model are striking. 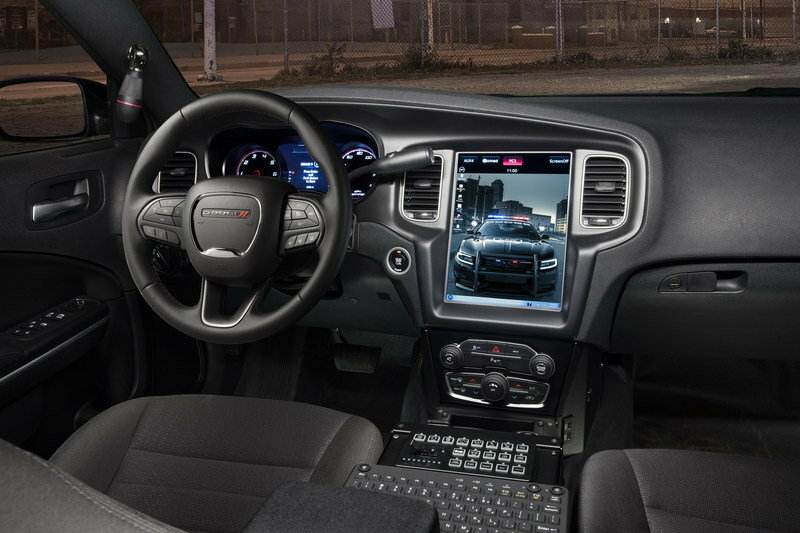 Continue reading to learn more about the 2016 Dodge Charger Pursuit.